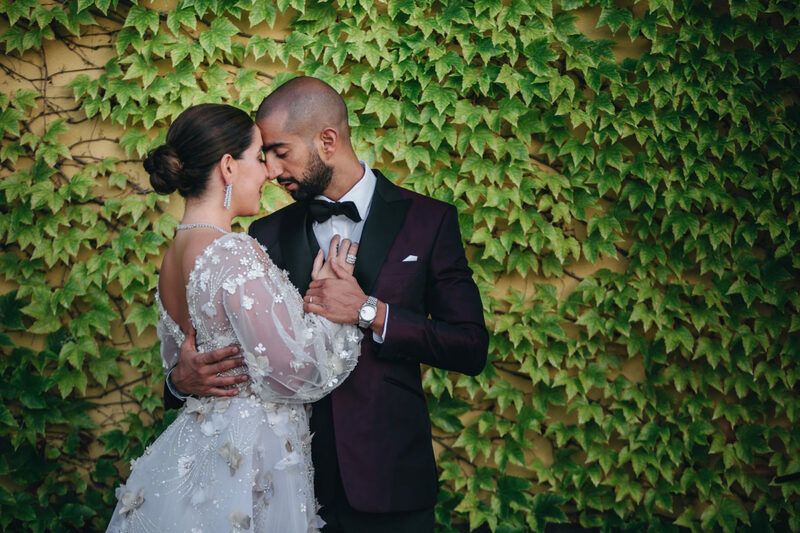 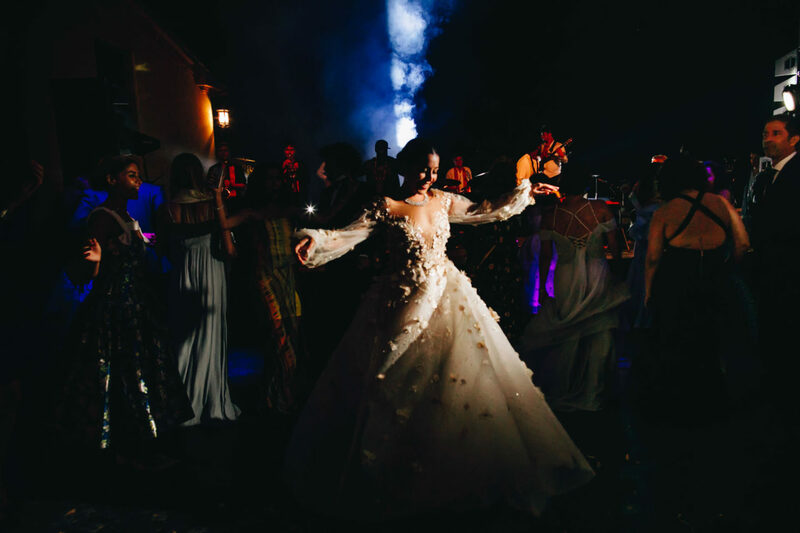 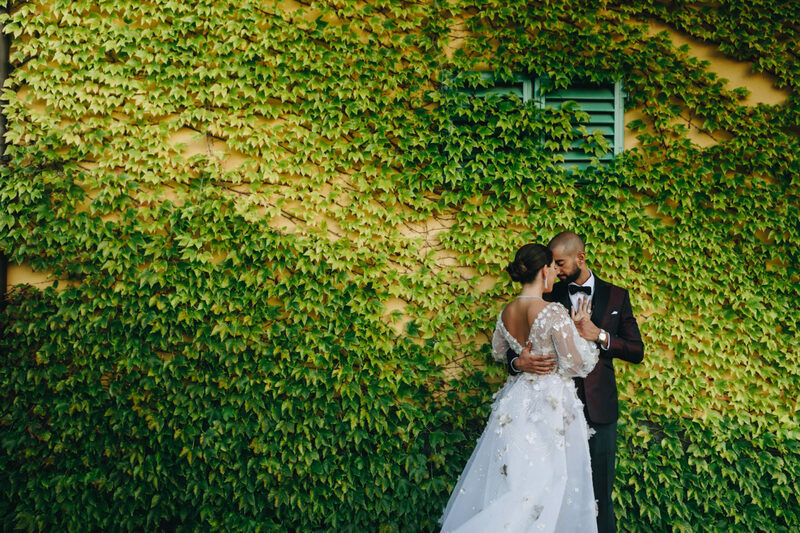 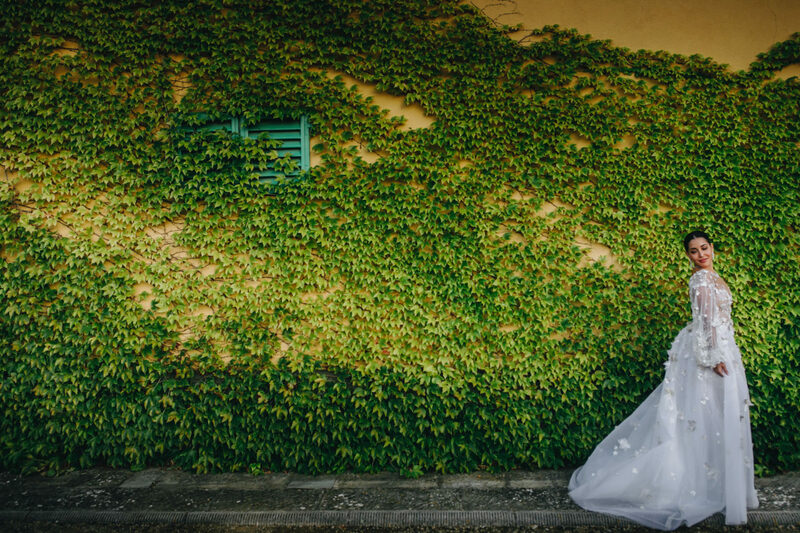 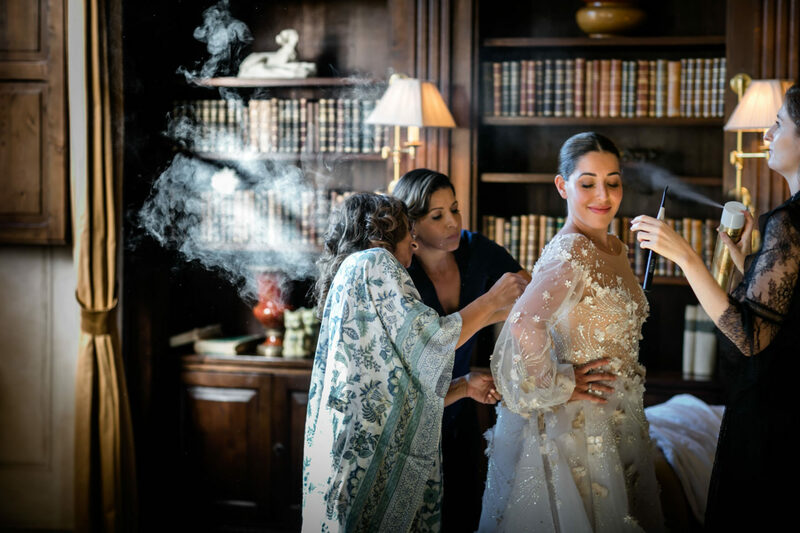 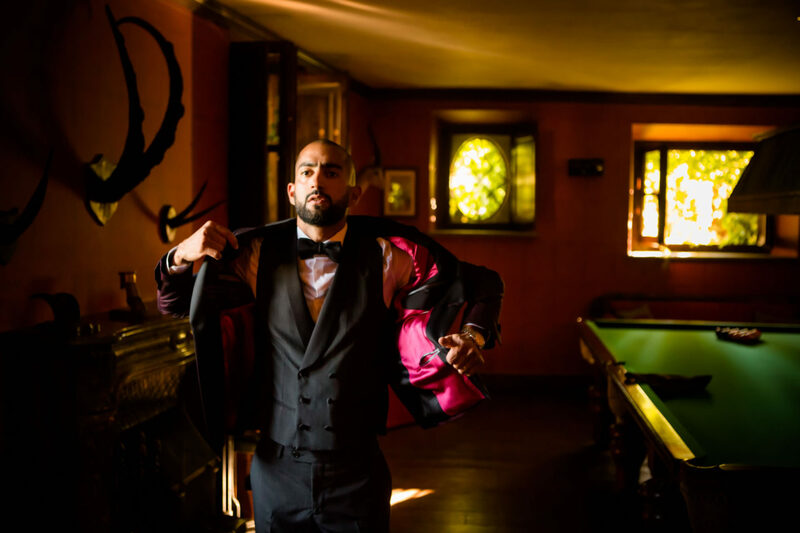 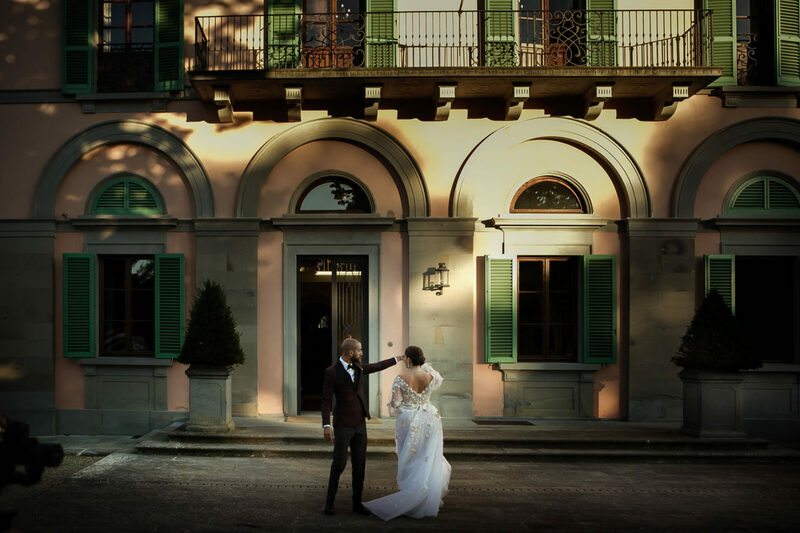 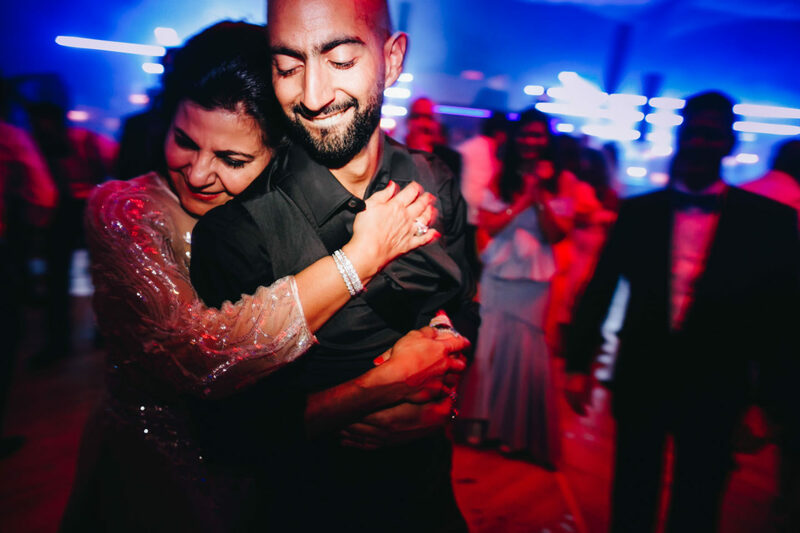 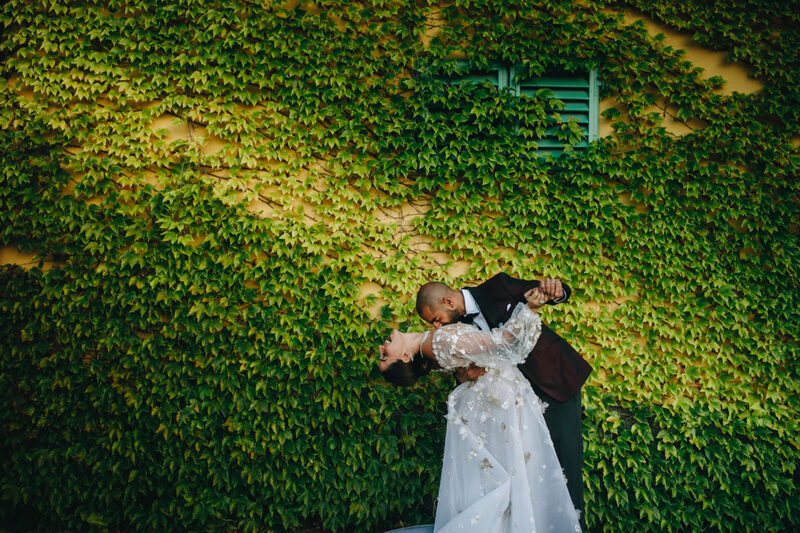 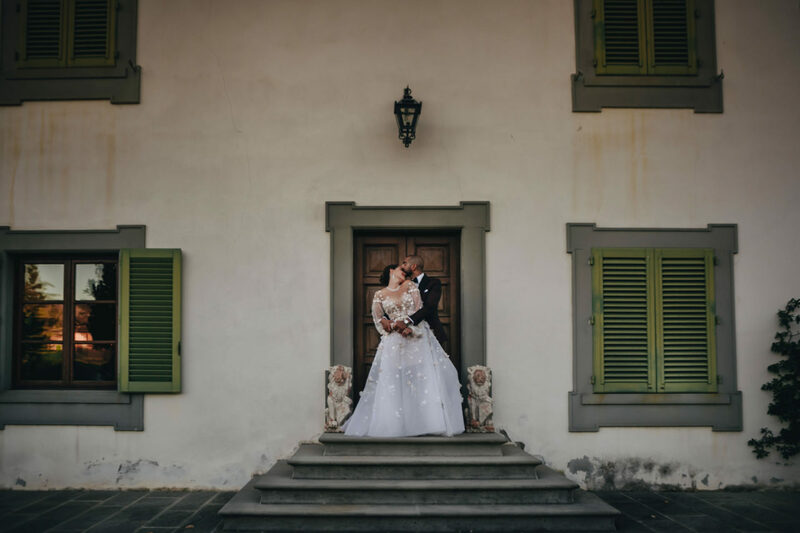 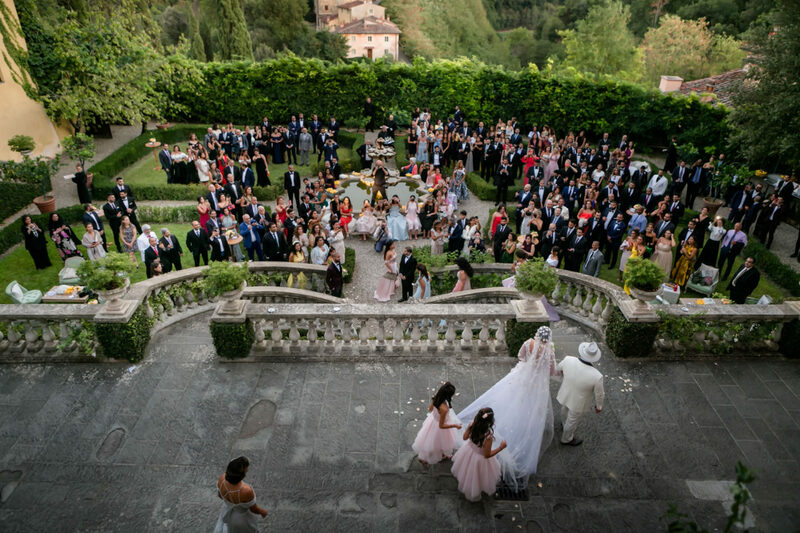 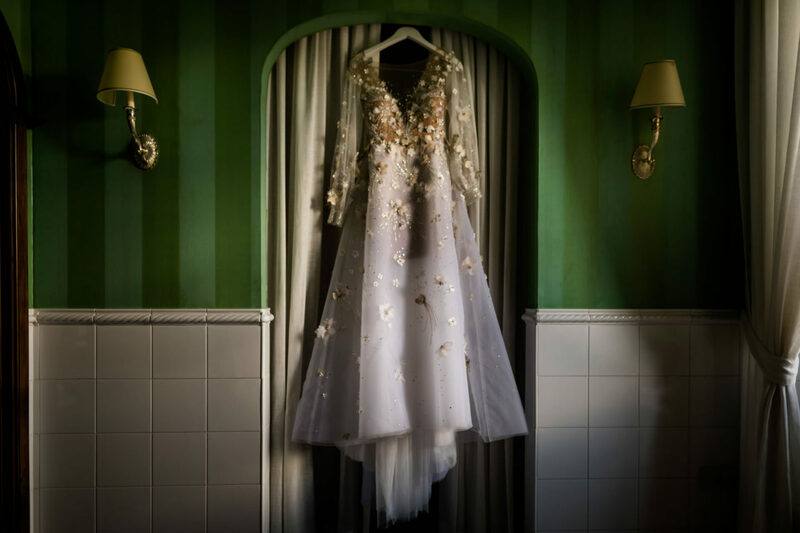 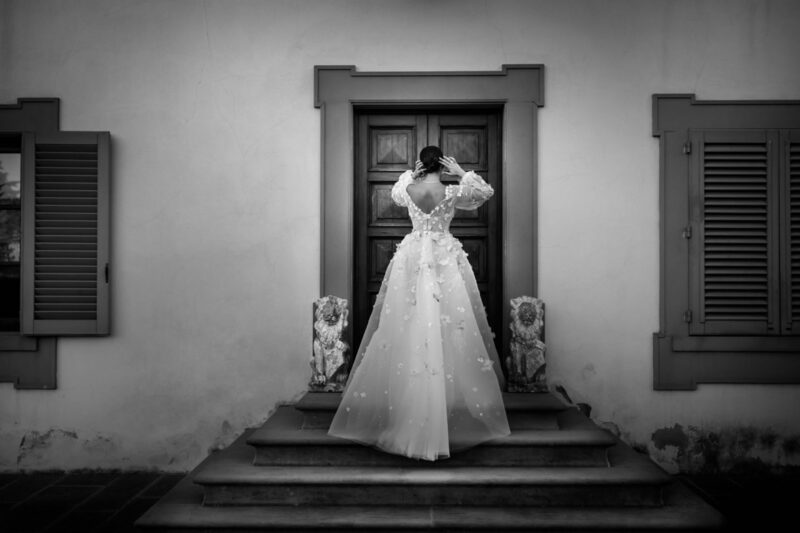 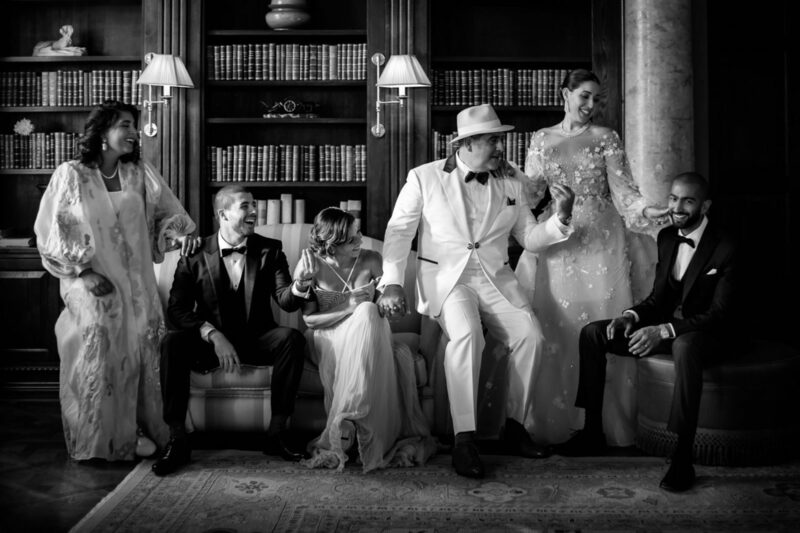 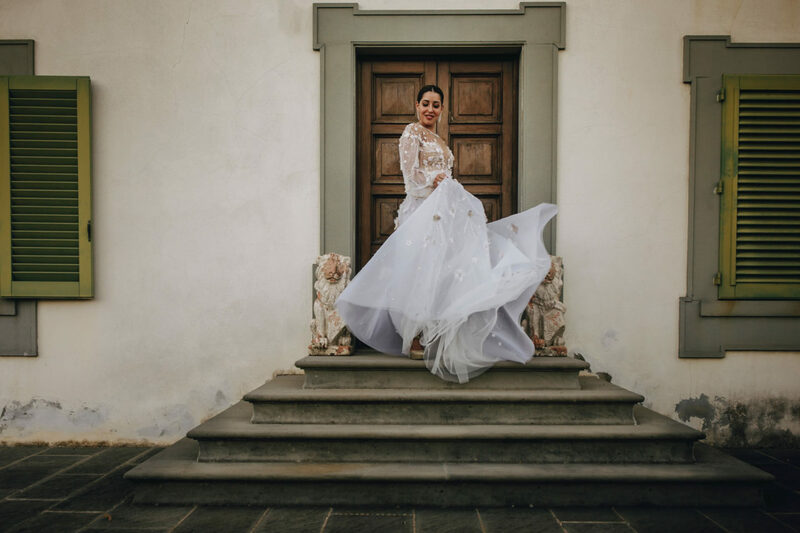 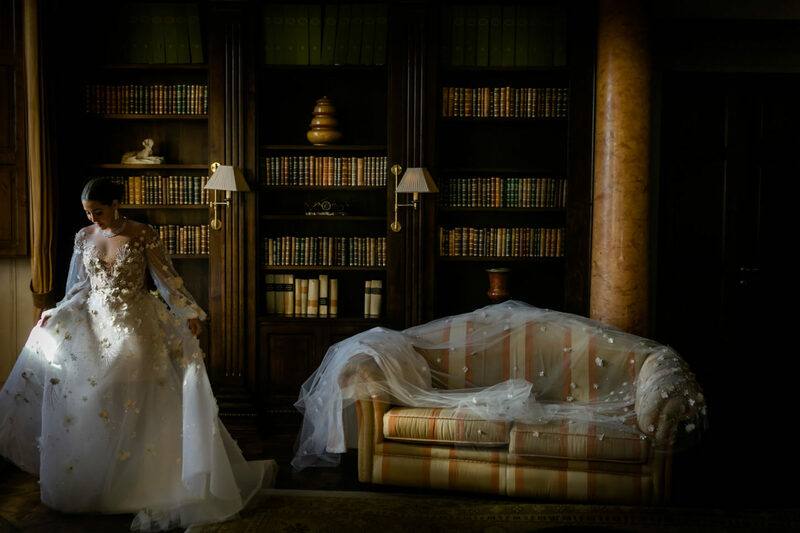 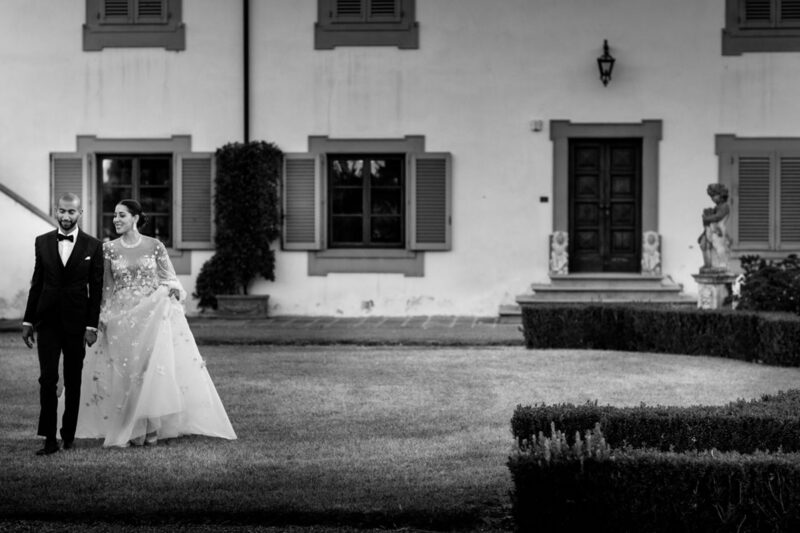 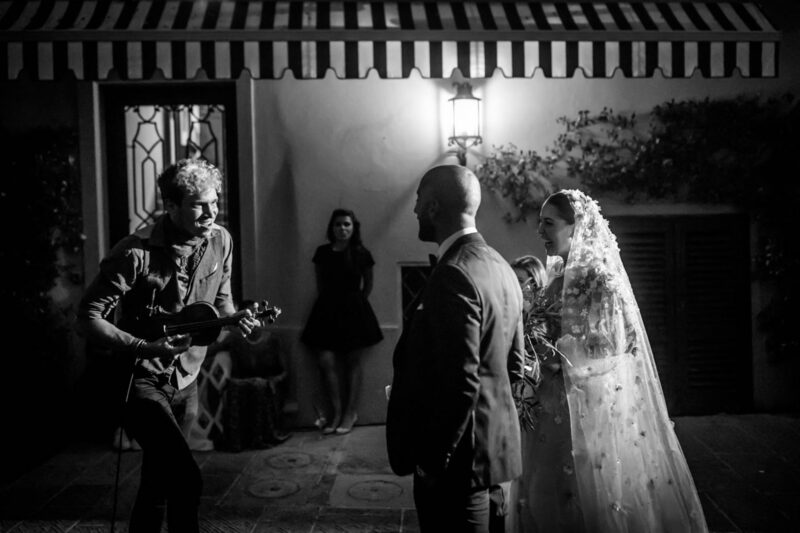 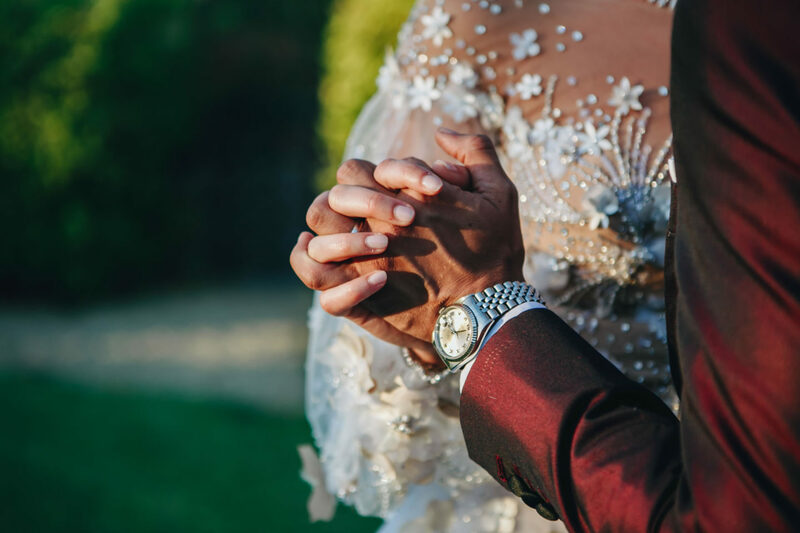 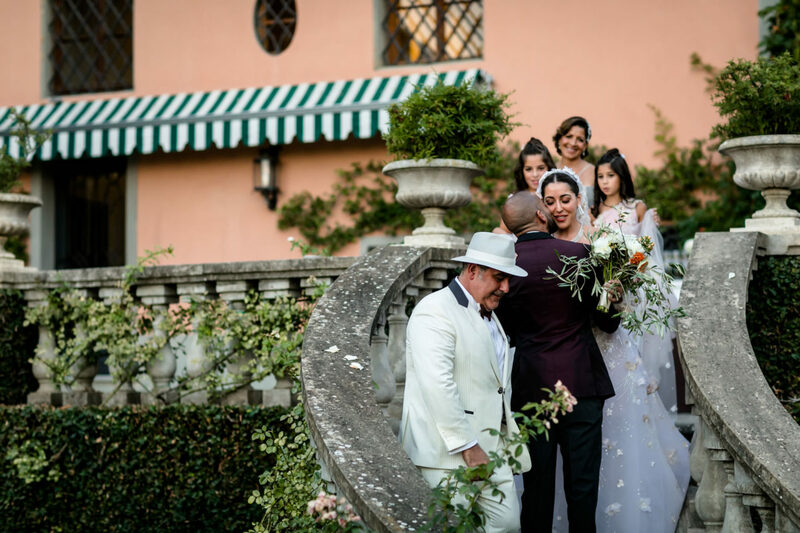 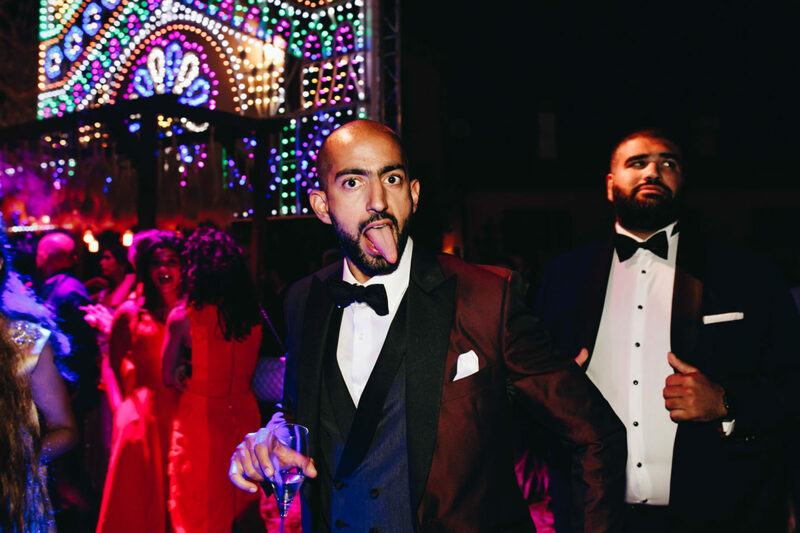 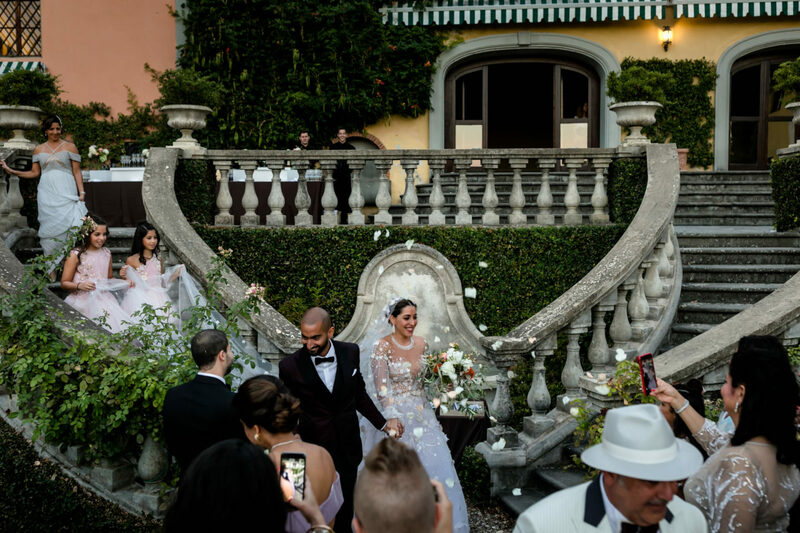 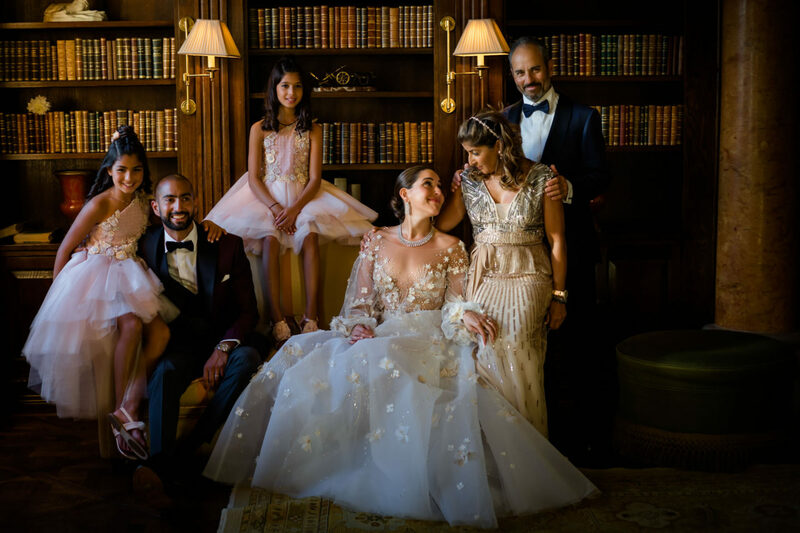 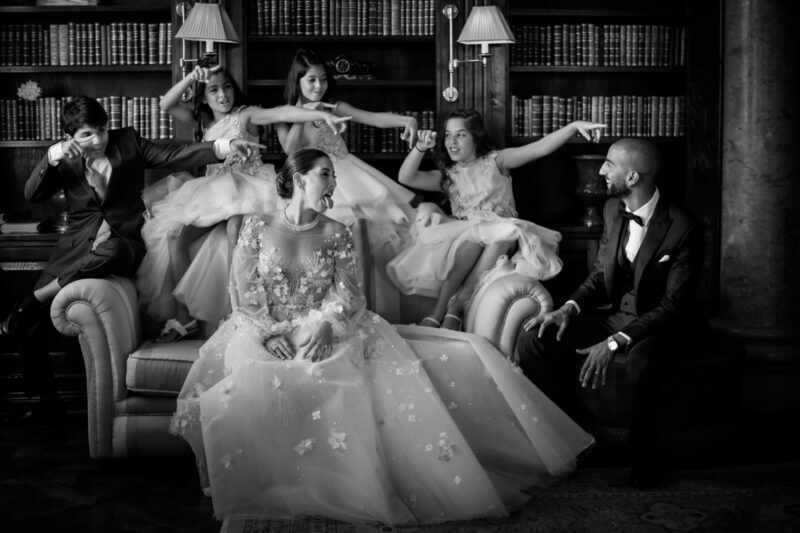 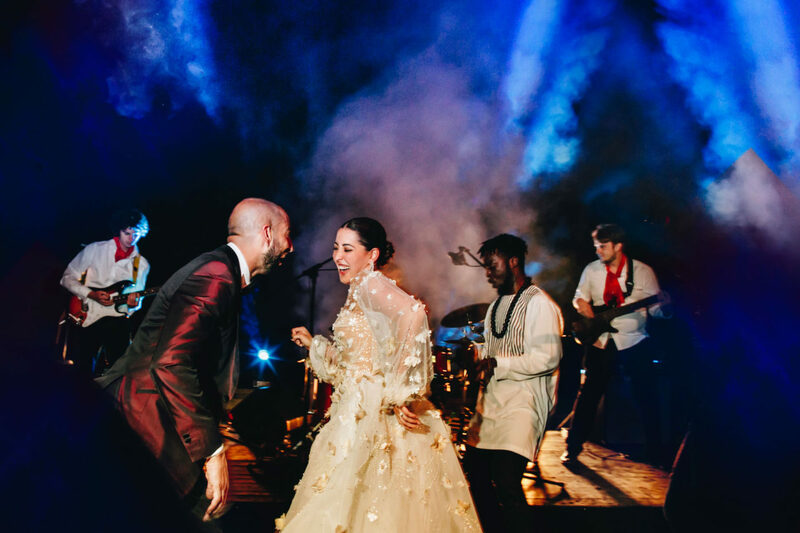 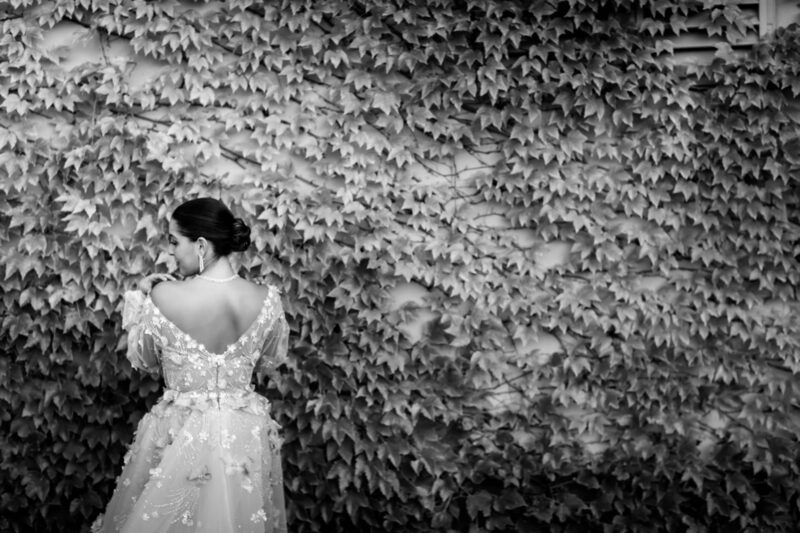 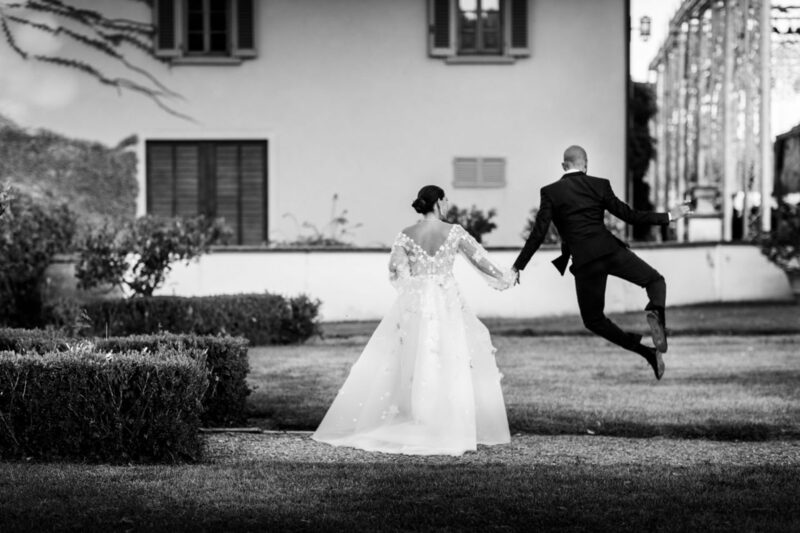 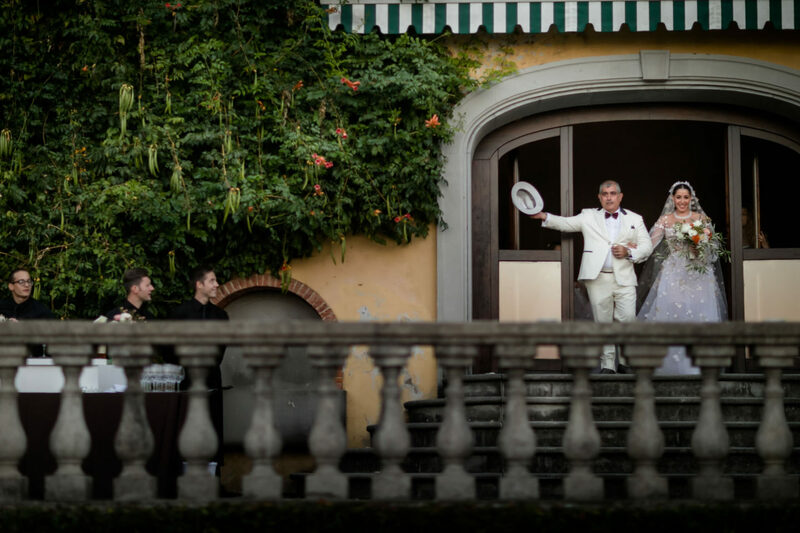 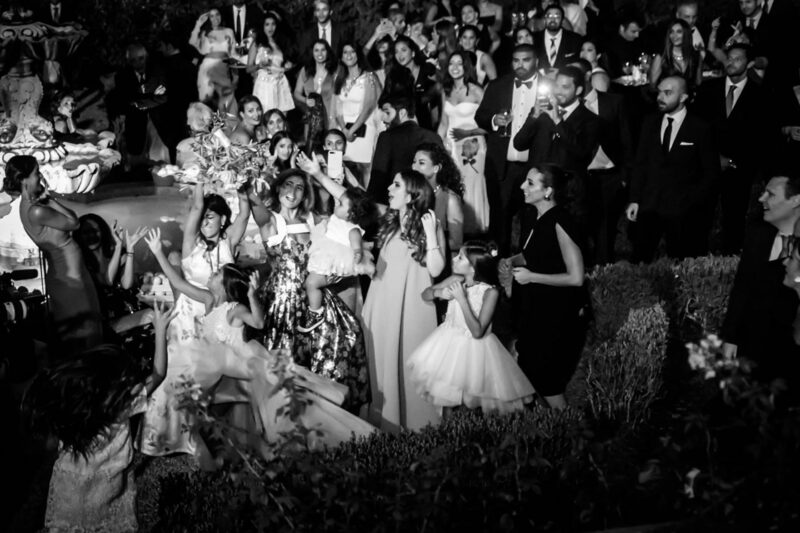 Yasmeen and Mohammed got married at Il Borro, a magic place, wooded in the Tuscan countryside near to Arezzo. 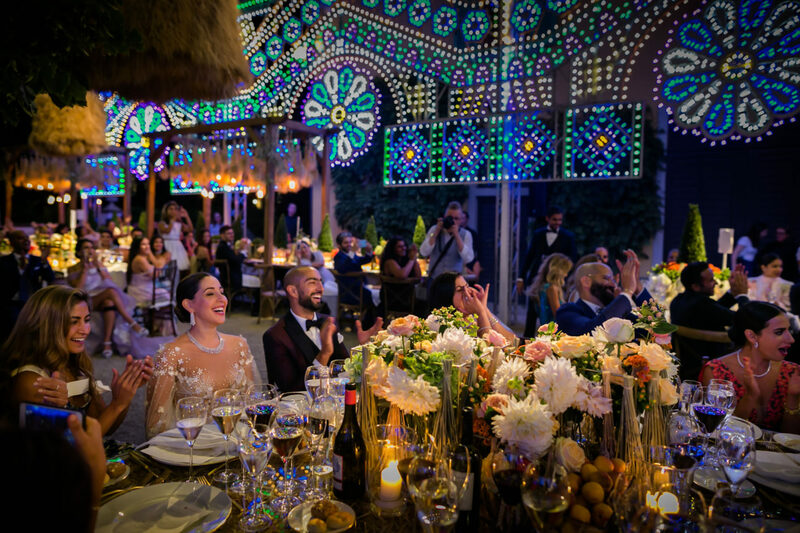 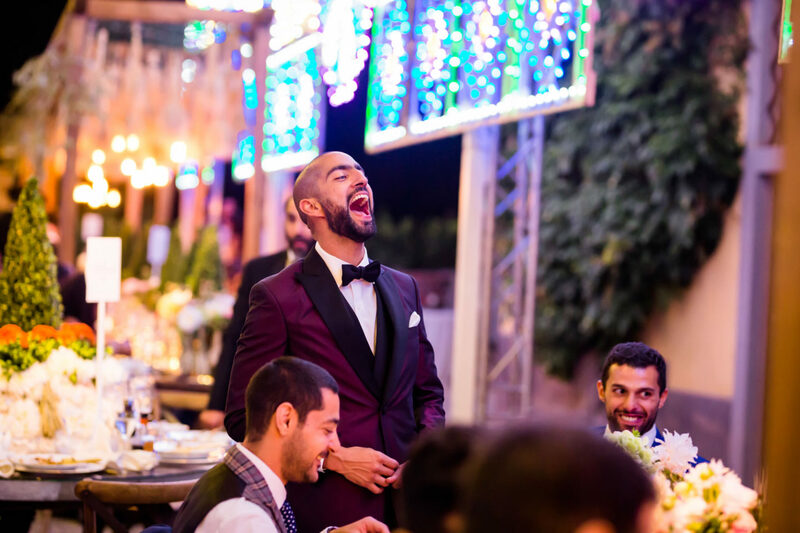 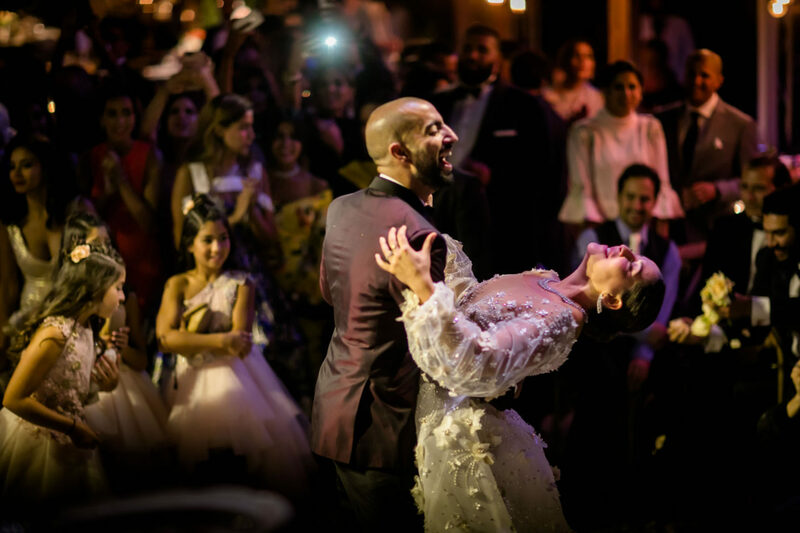 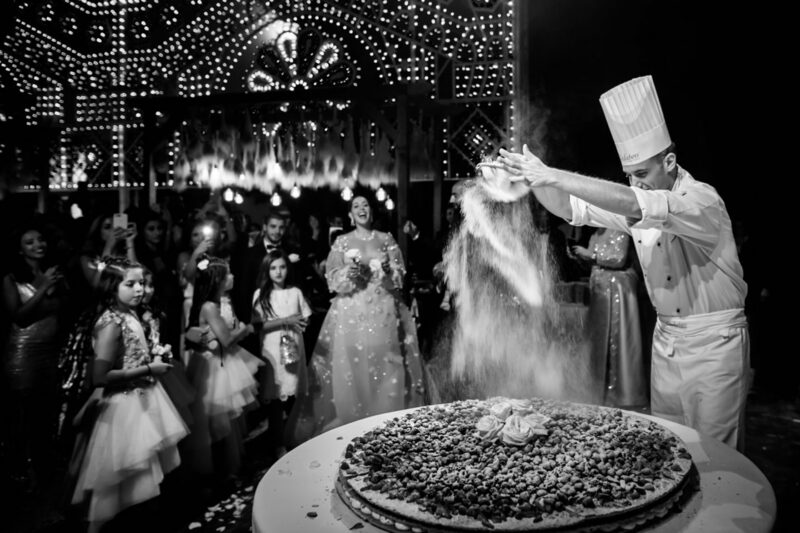 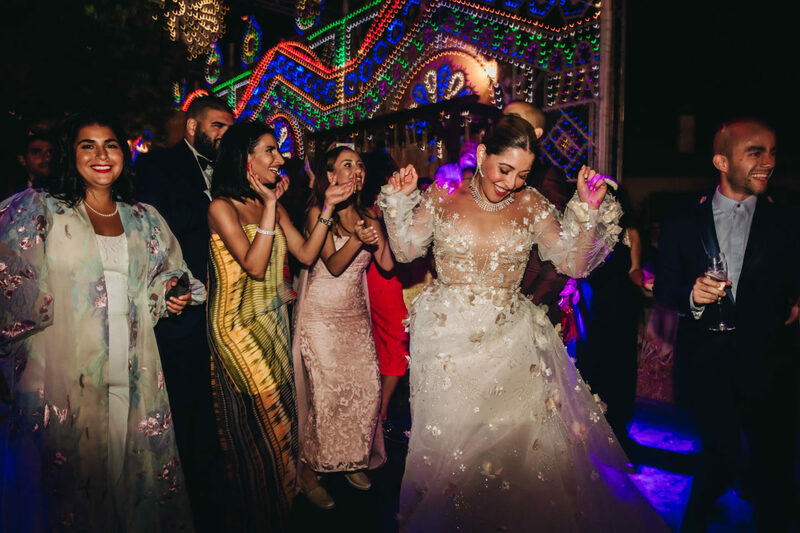 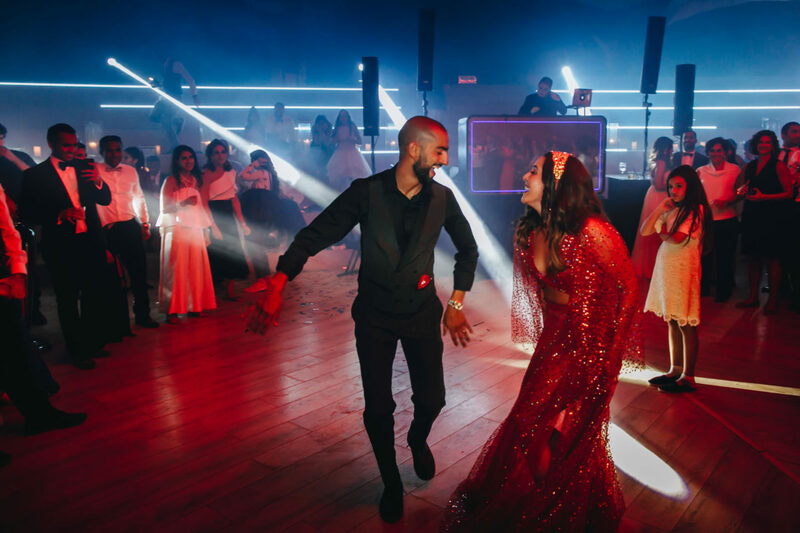 Their Arab wedding had been an incredible event in the spirit for dances, shows, lights games and amazing performances. 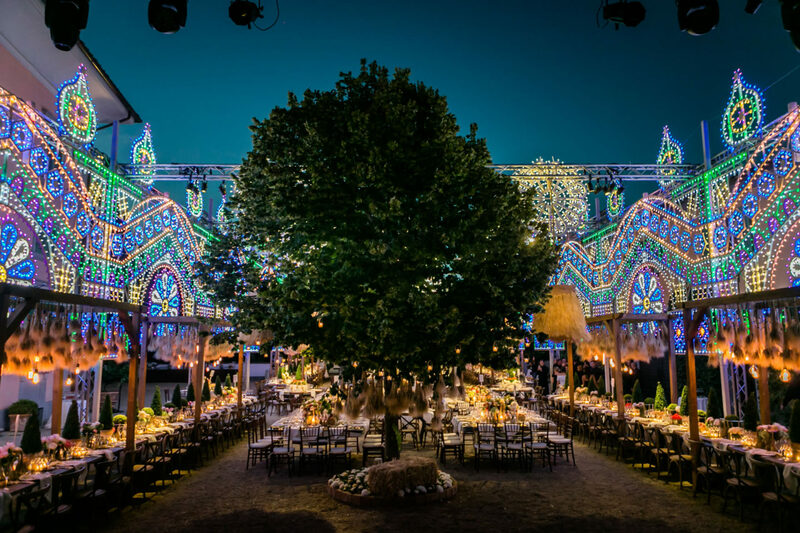 Colors were the main characters of the staging which was organized by Vincenzo Dascanio, there was a lavish feather rainbow, ears of wheat and thousand colored flowers. 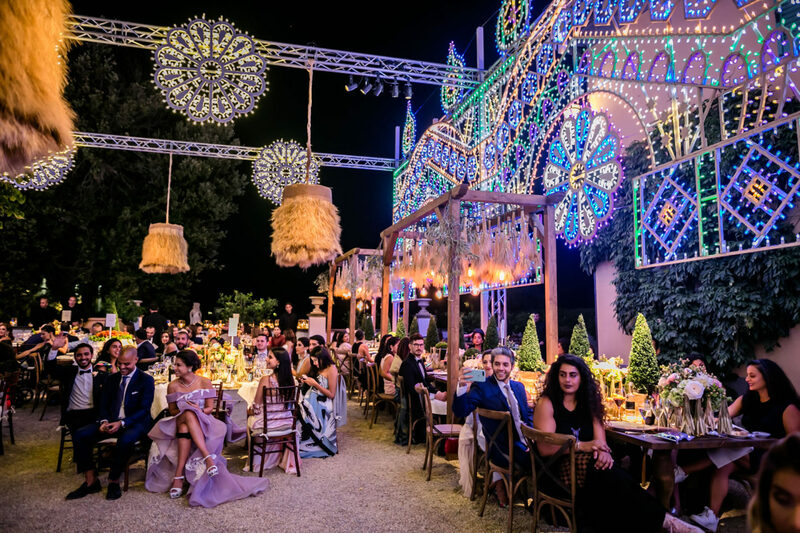 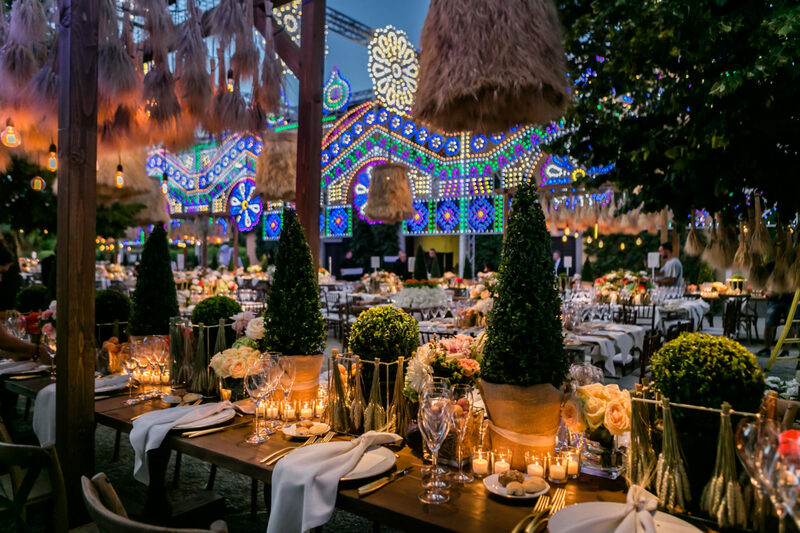 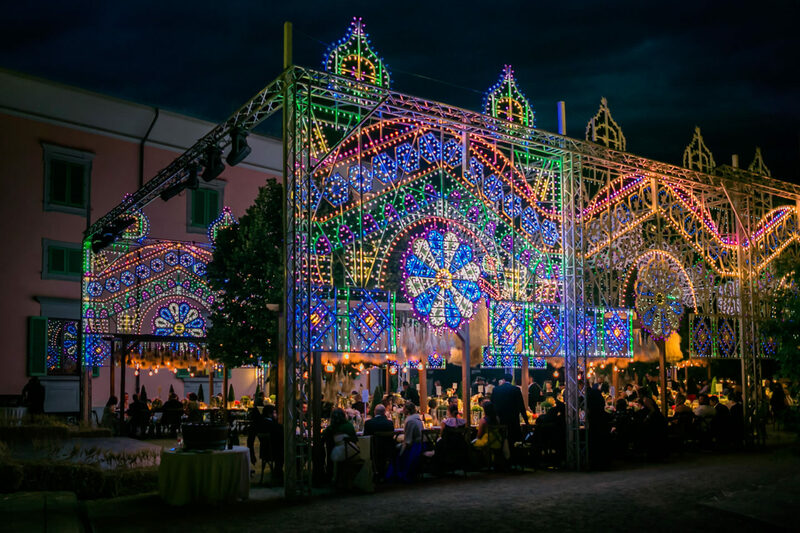 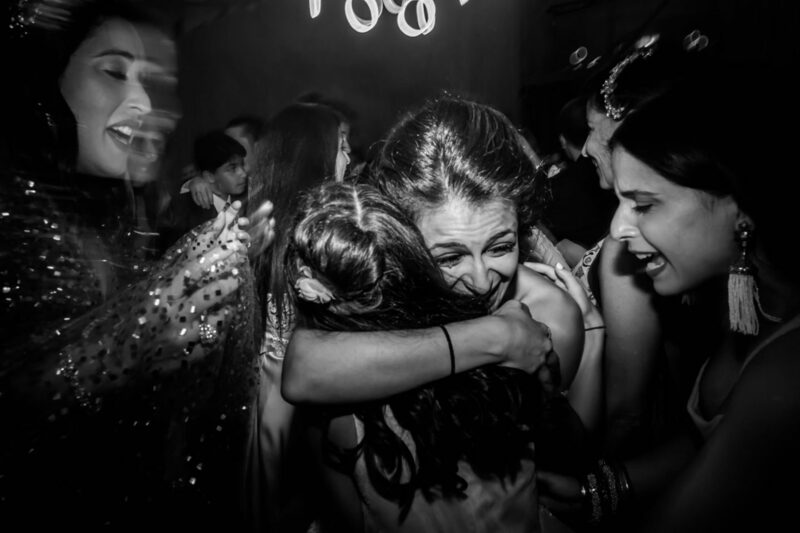 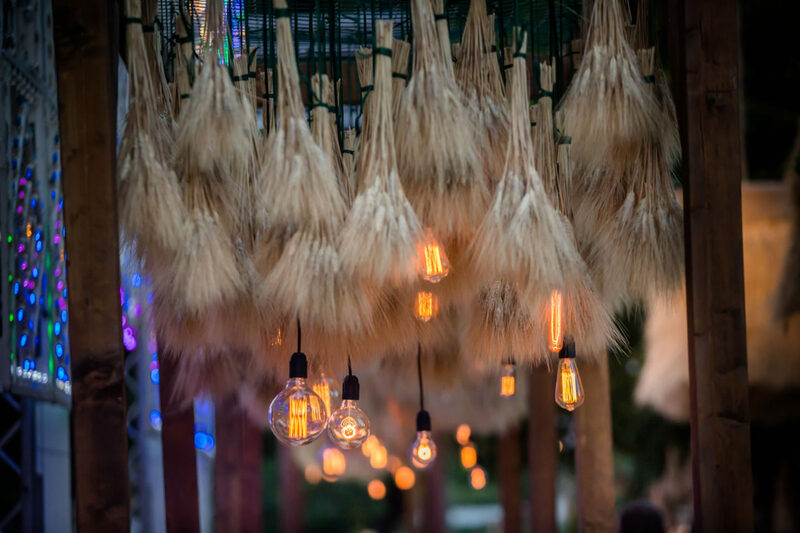 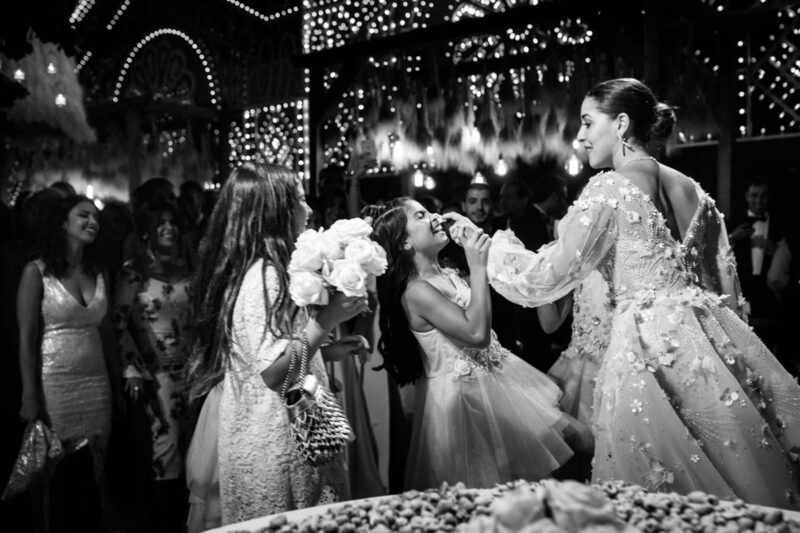 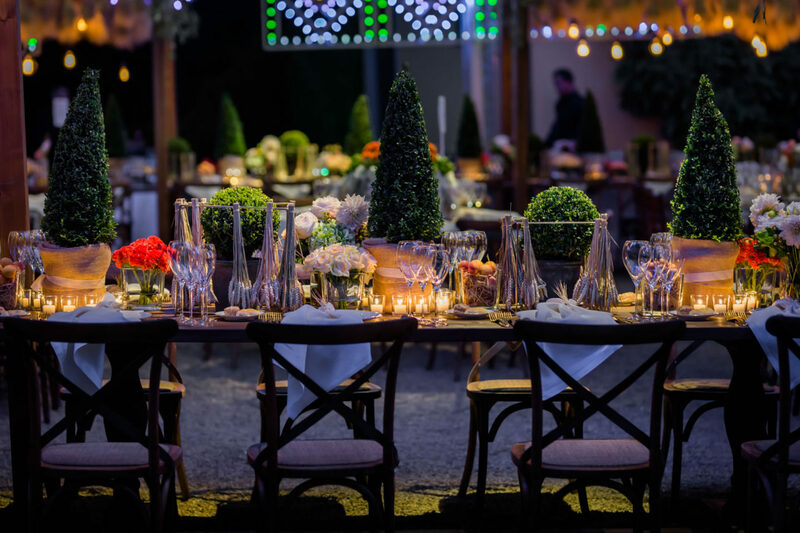 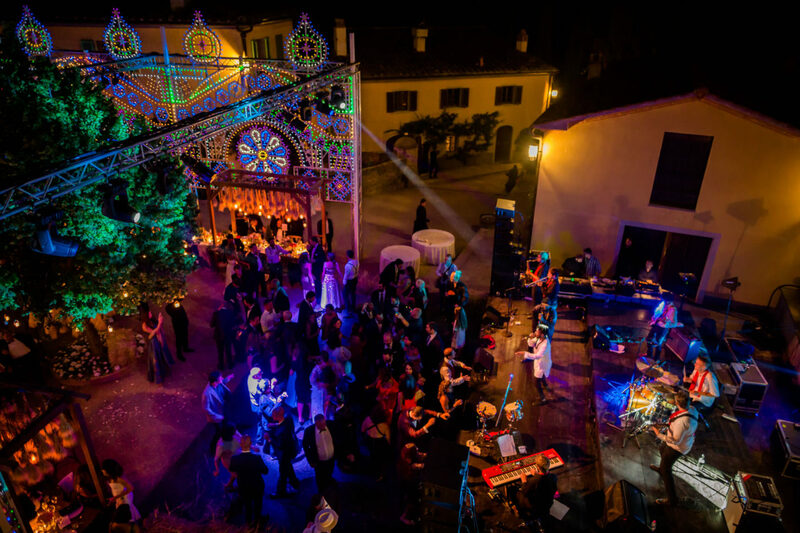 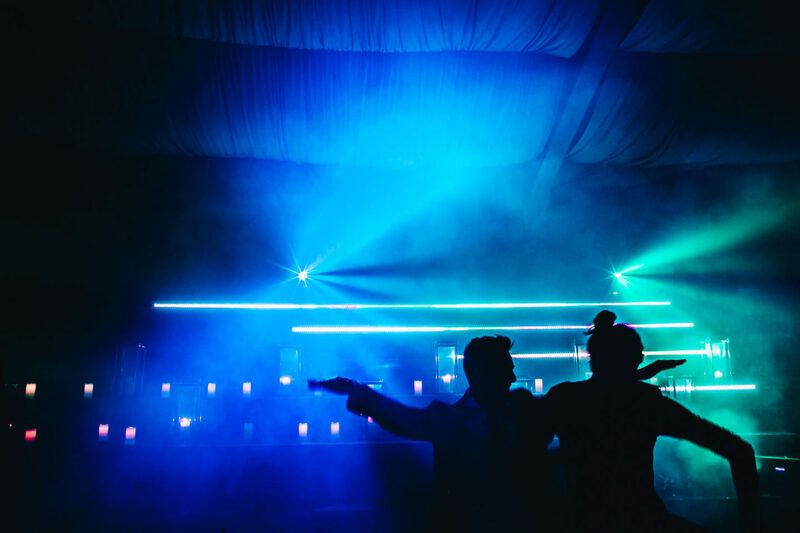 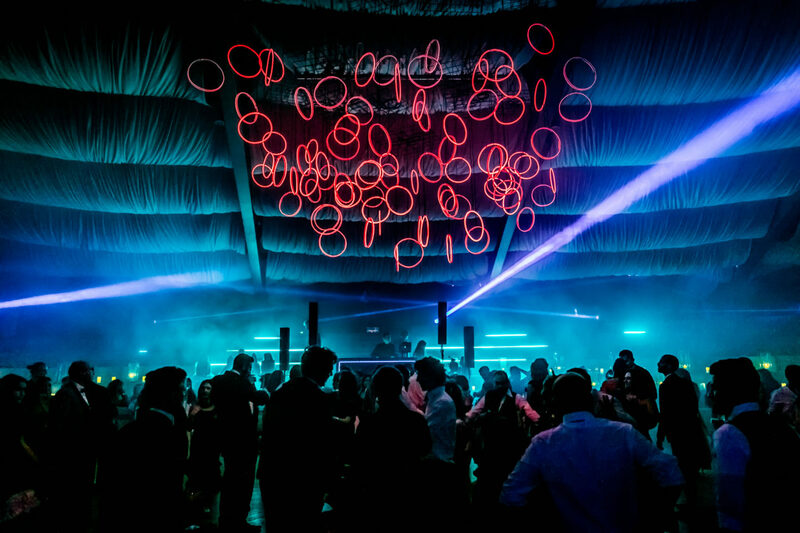 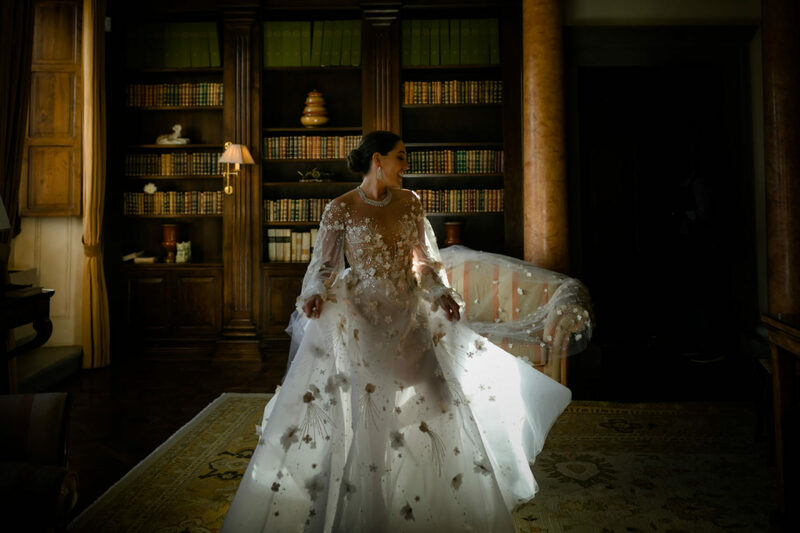 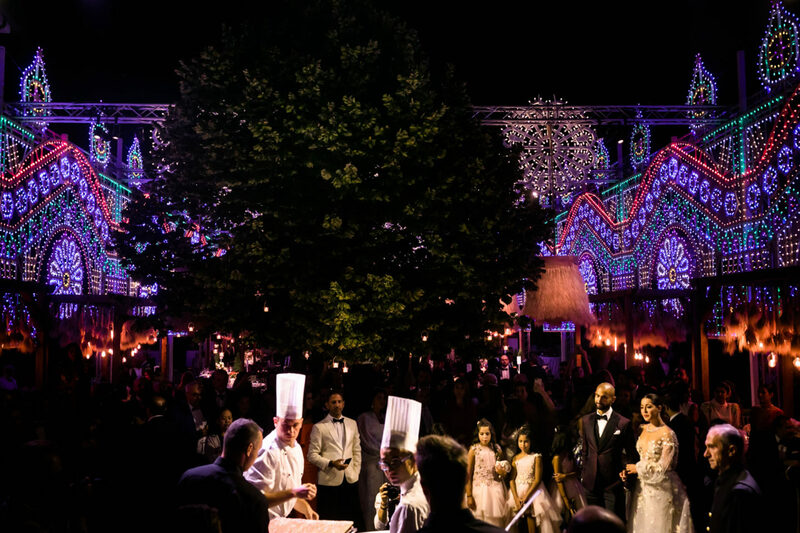 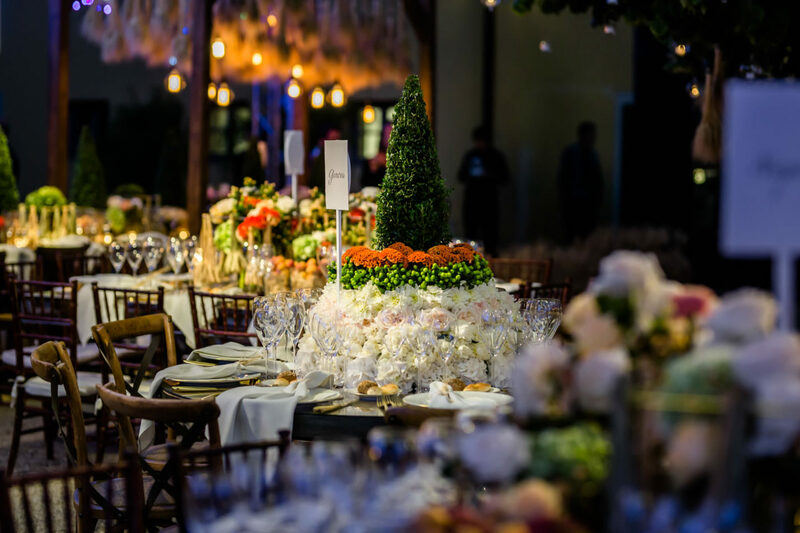 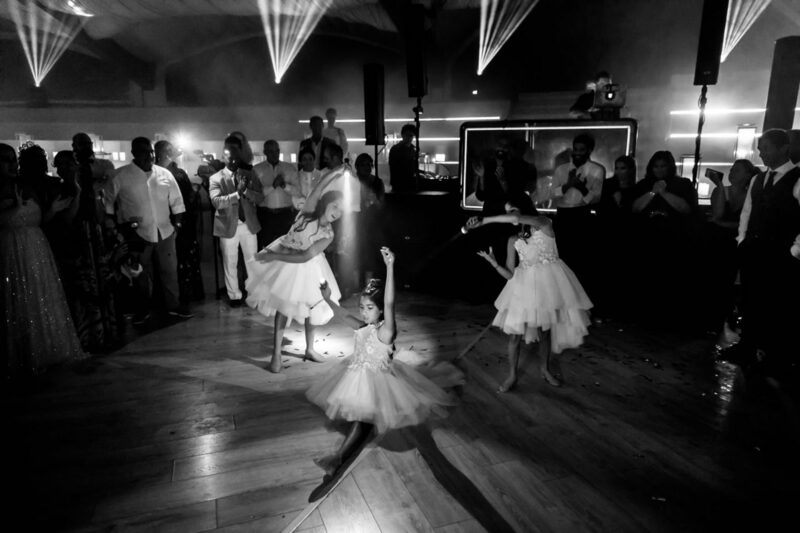 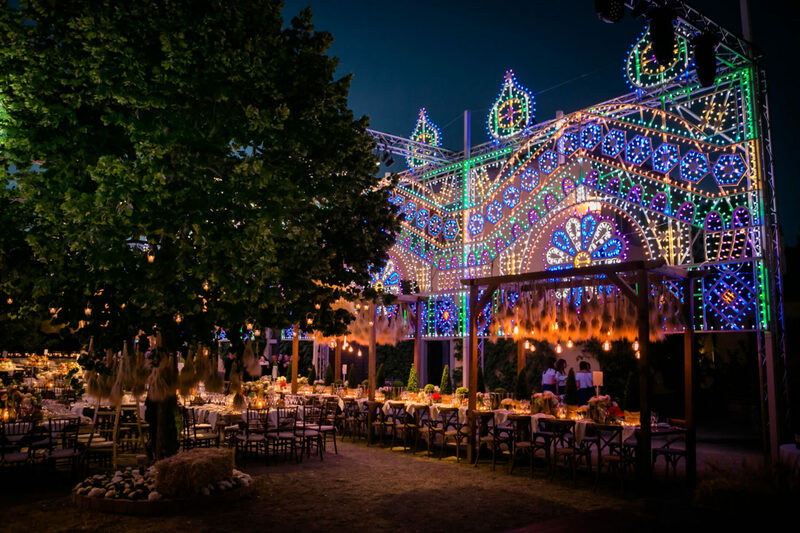 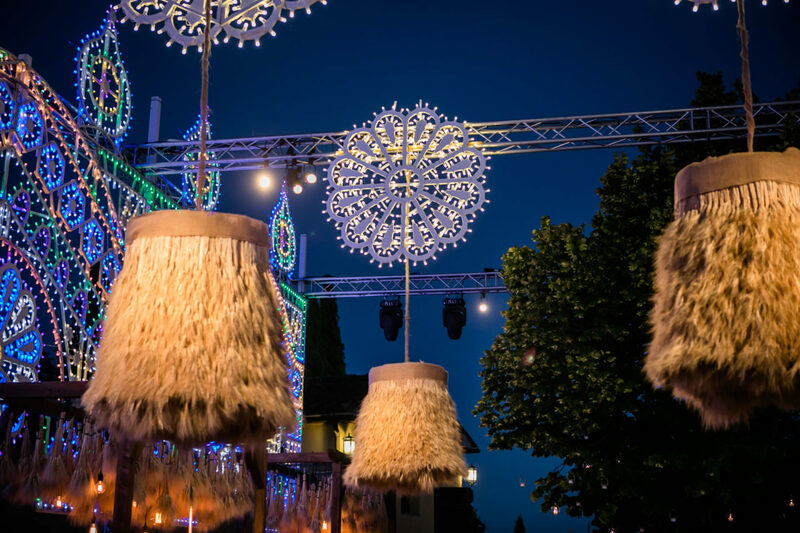 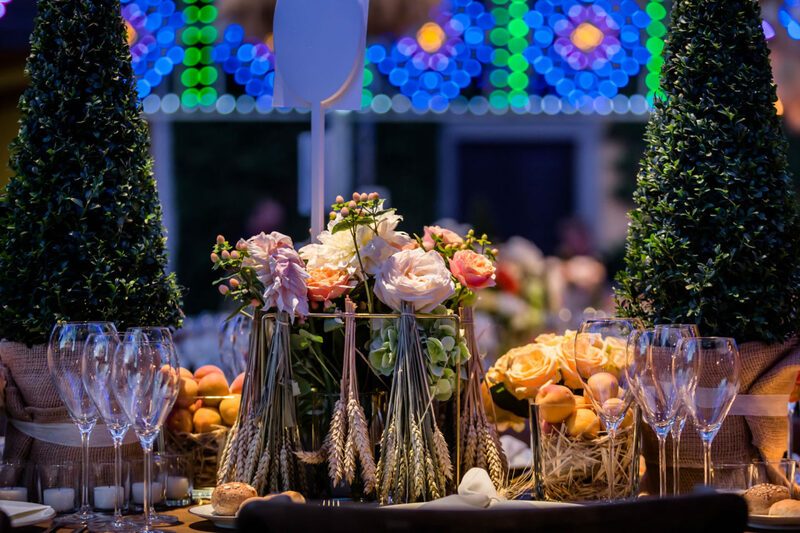 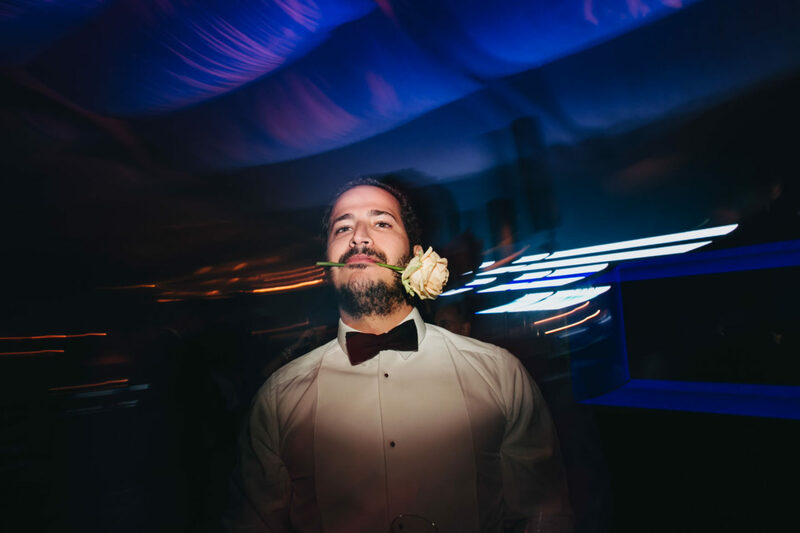 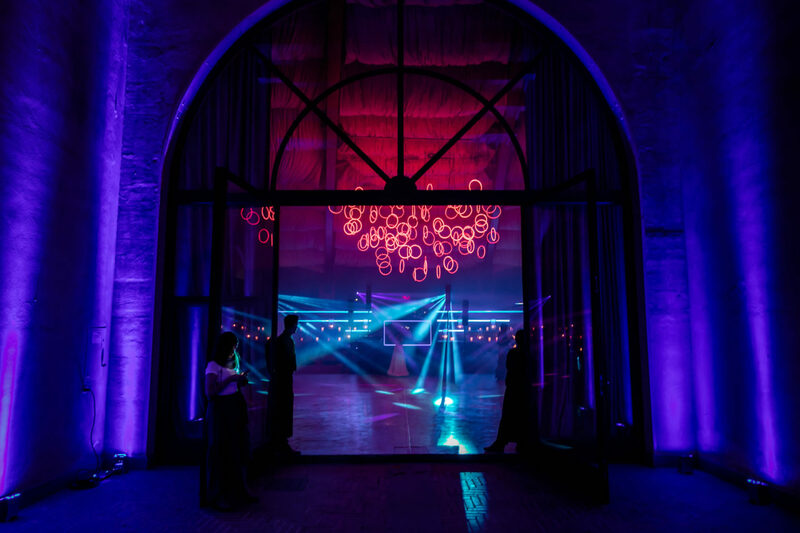 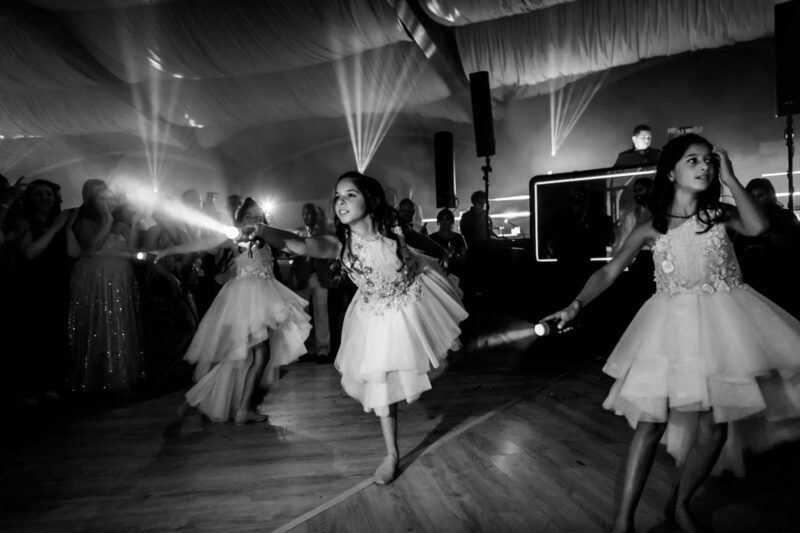 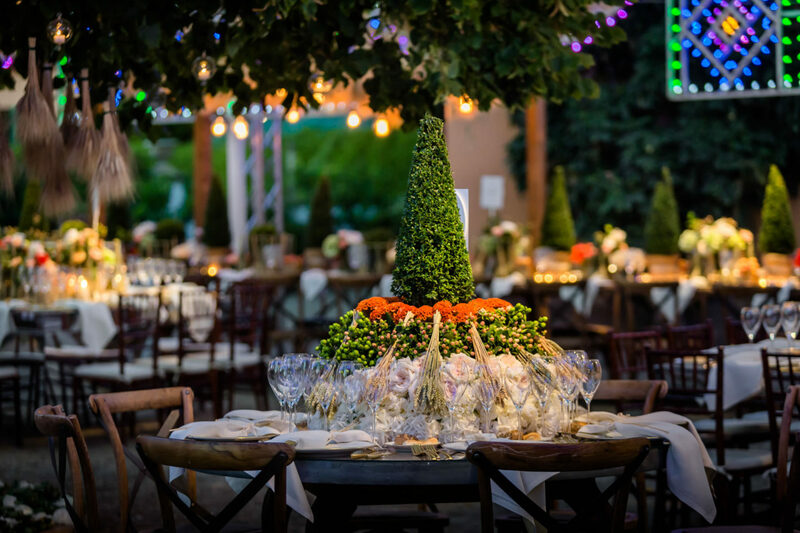 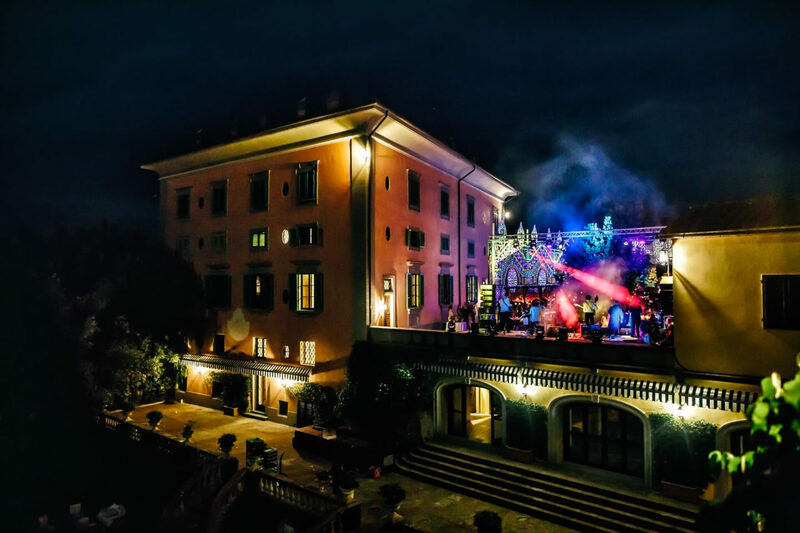 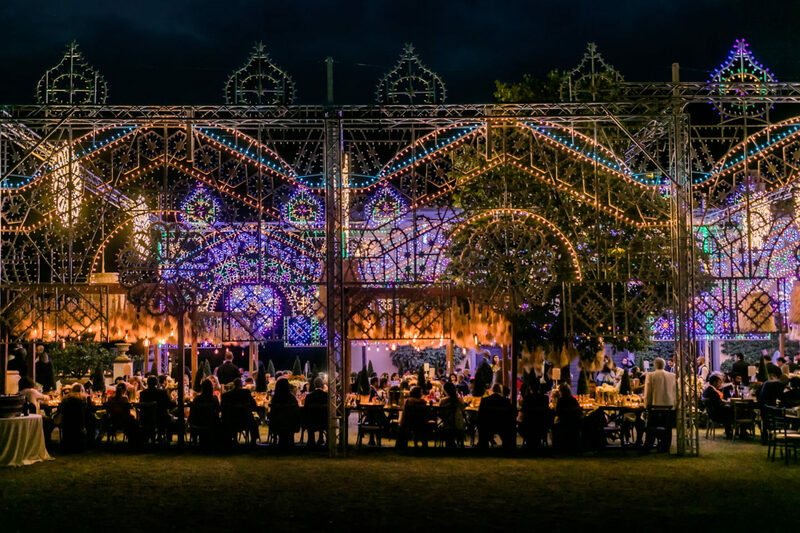 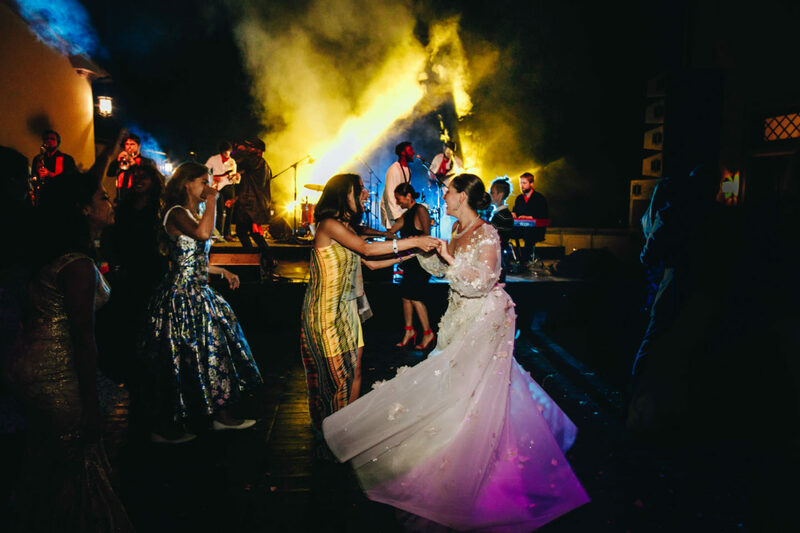 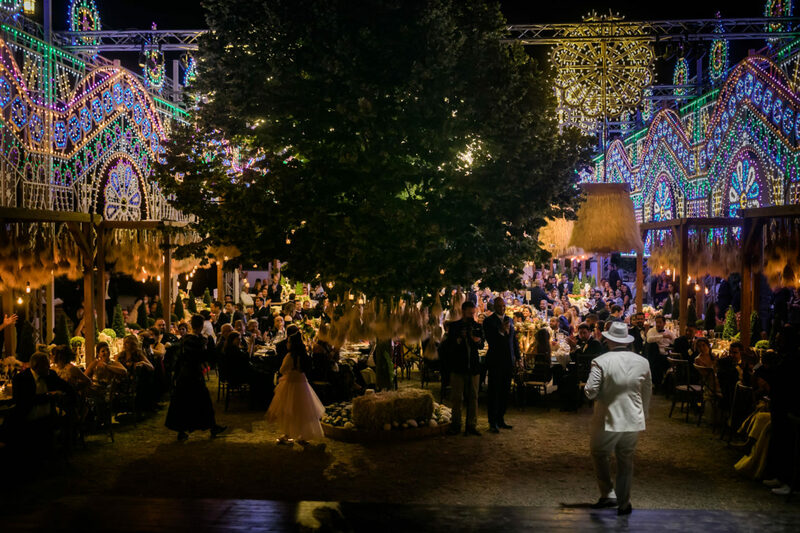 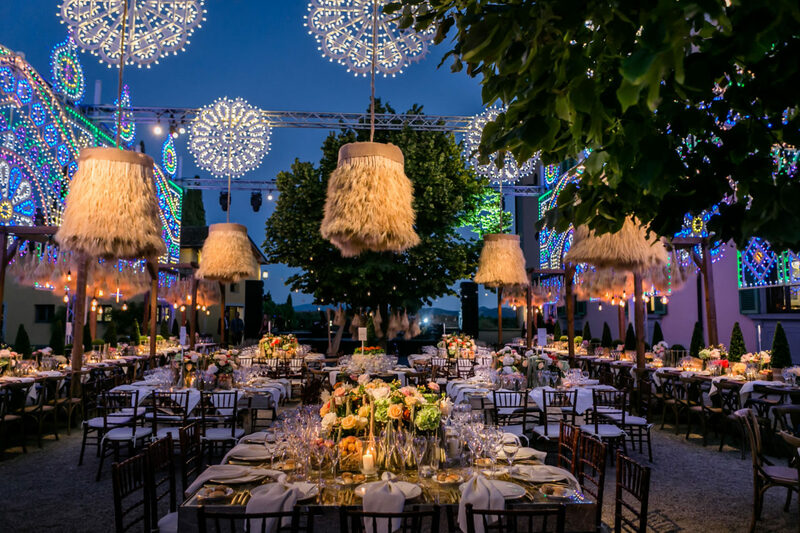 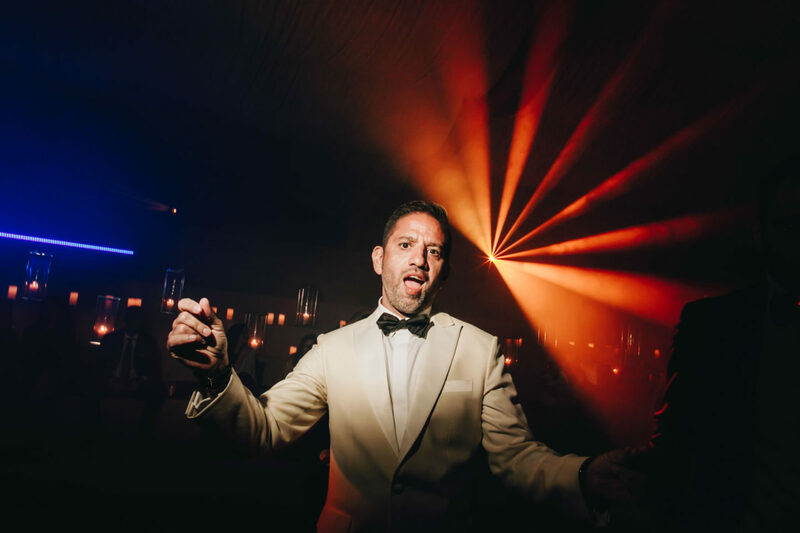 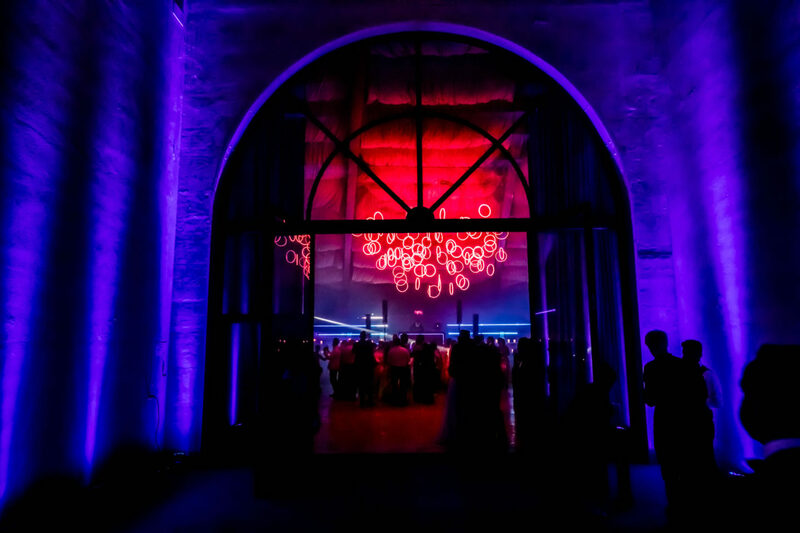 There were magic light games surrounding the wedding, made by Gb Studio, which were able to create an incredible environment that gave to Il Borro a great scenographic impact; it has been then followed by the luxury event of Juliana of Savvy Events. 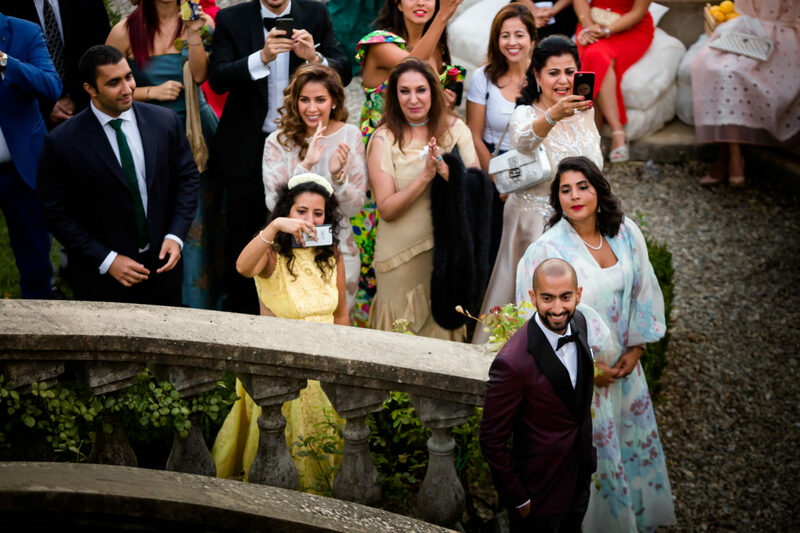 For me and my Waterfall Visuals colleagues it was a real pleasure to be able to work in such a stimulating environment, Yasmeen and Mohammed were fun and collaborative, their numerous guests participated throughout the day with a unique involvement and this made the whole day pleasant and joyful. 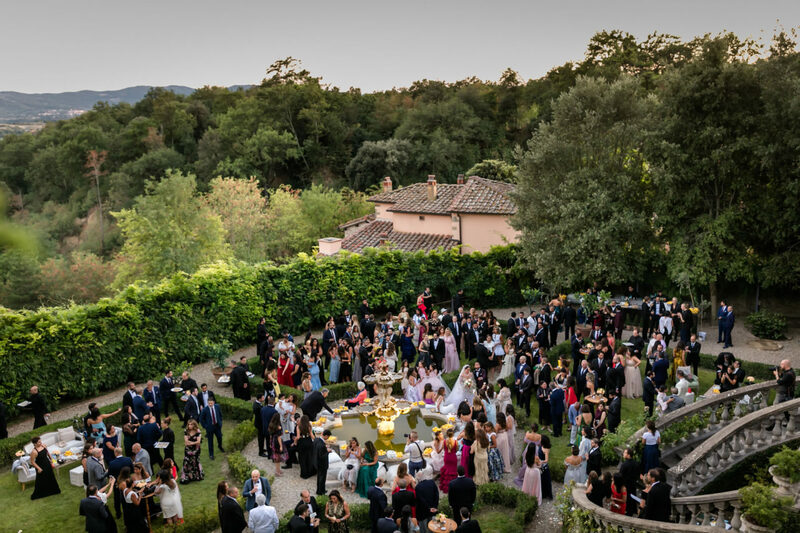 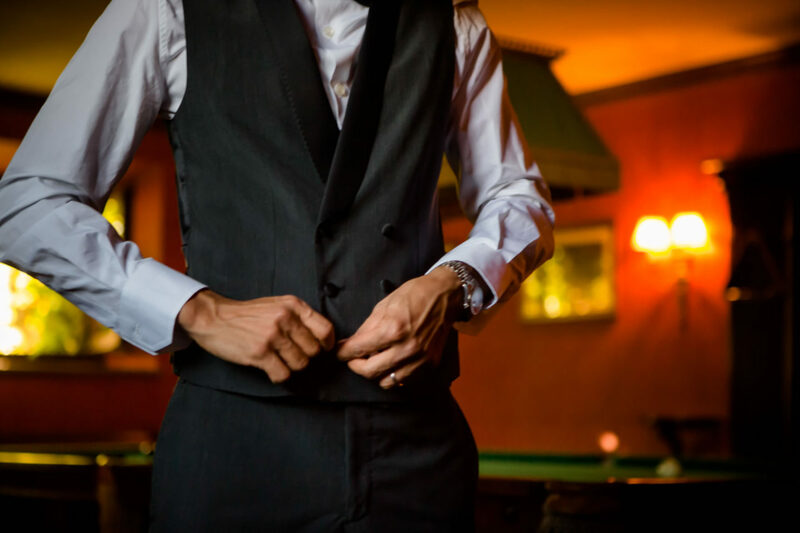 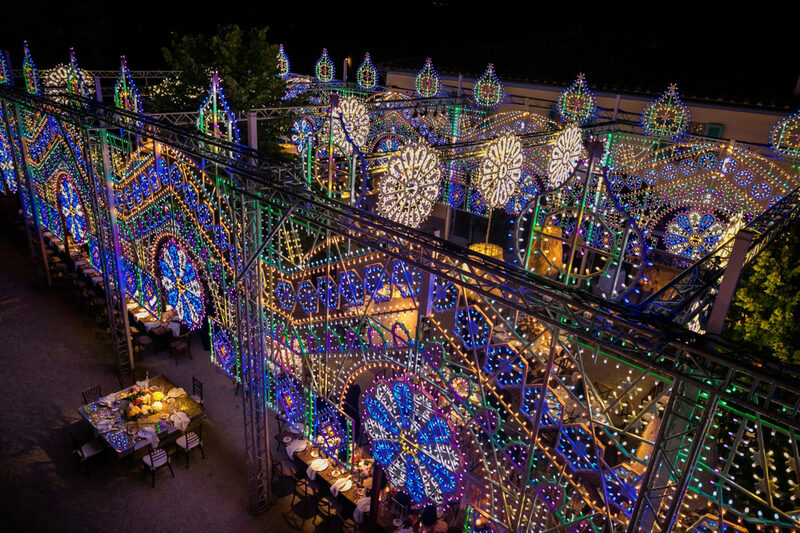 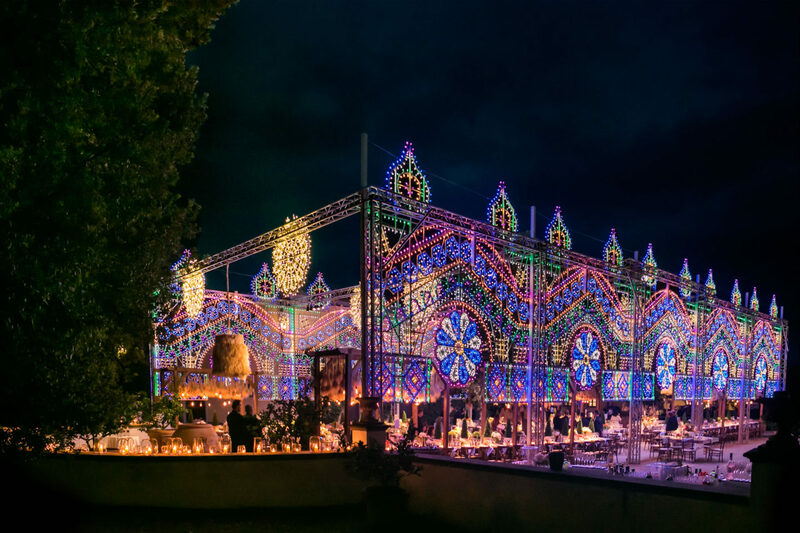 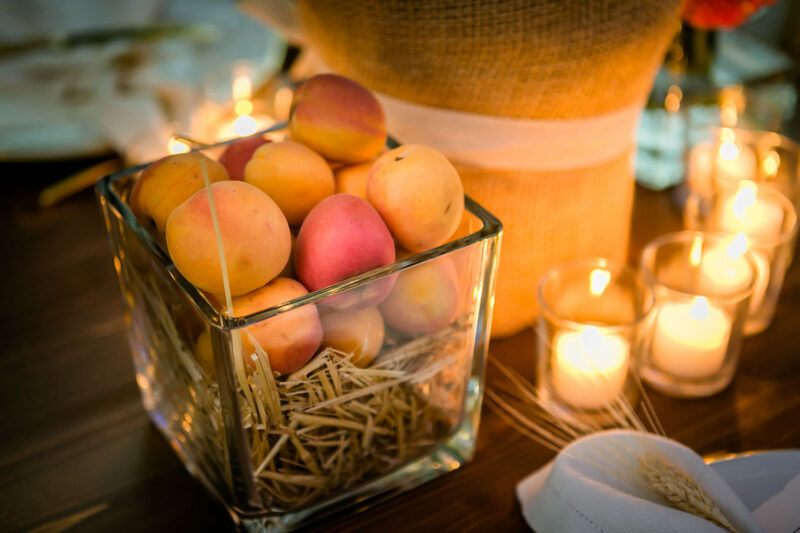 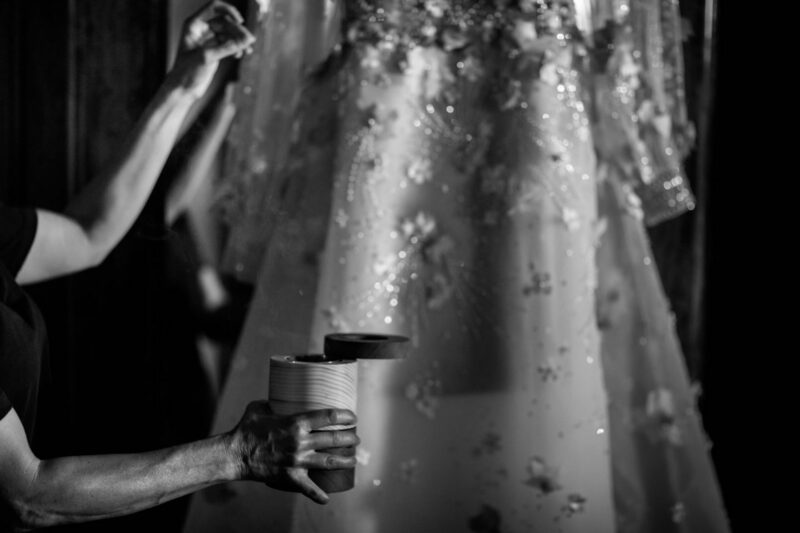 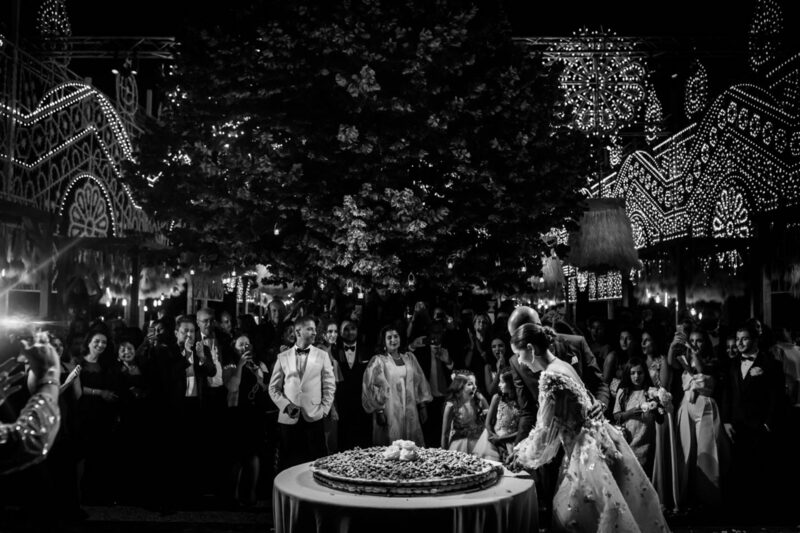 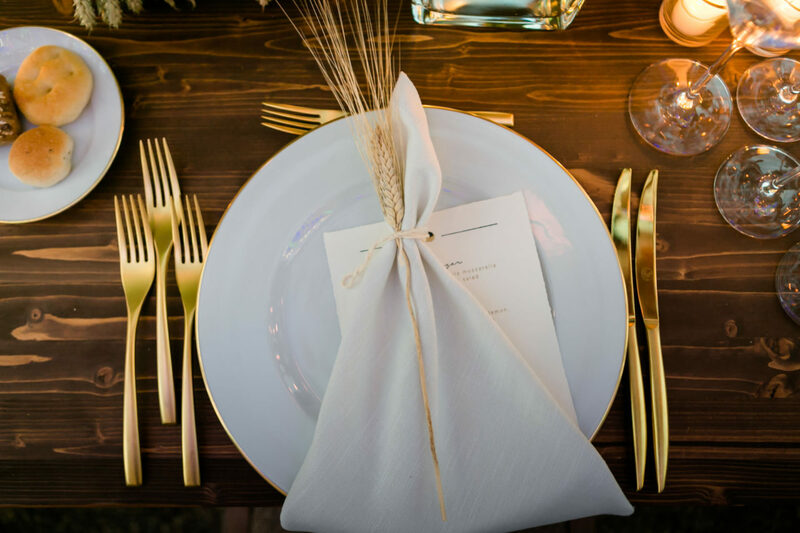 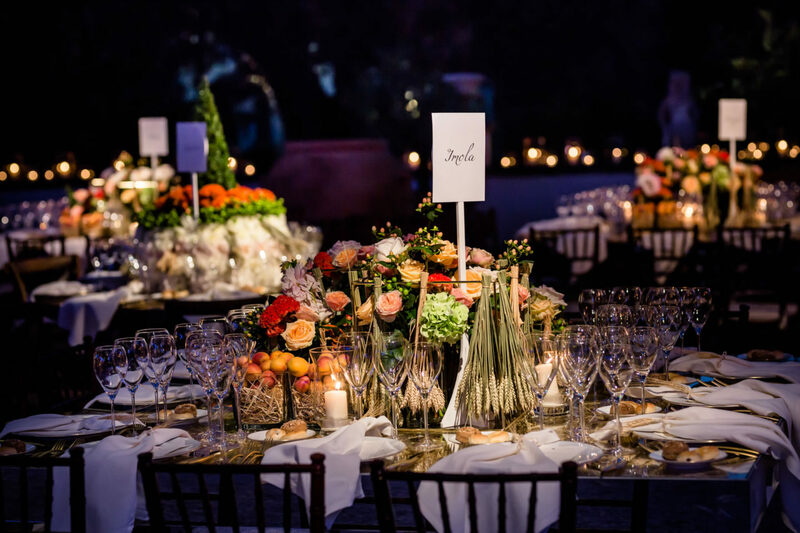 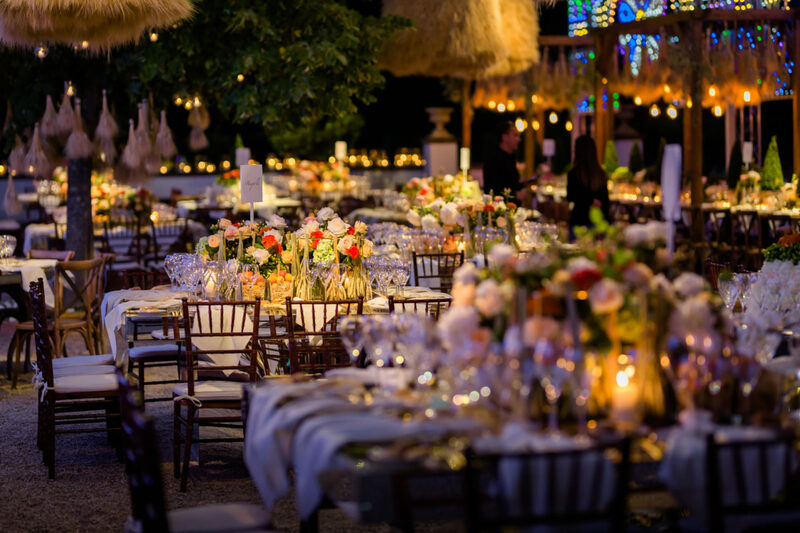 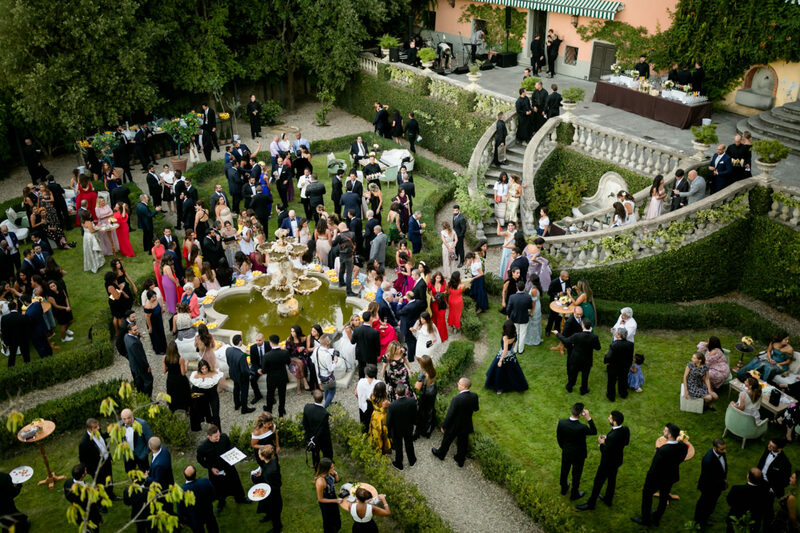 The dinner was the central moment of the whole wedding for the various shows that took place between one course and another made by Galateo ricevimenti. 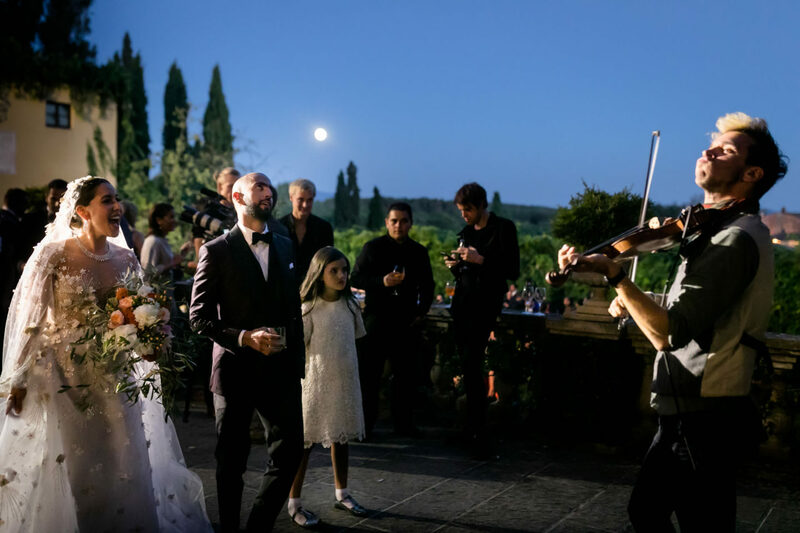 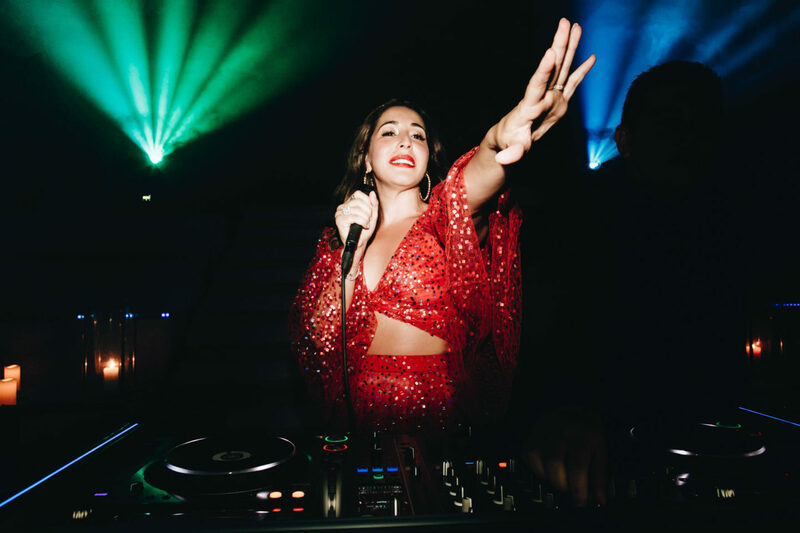 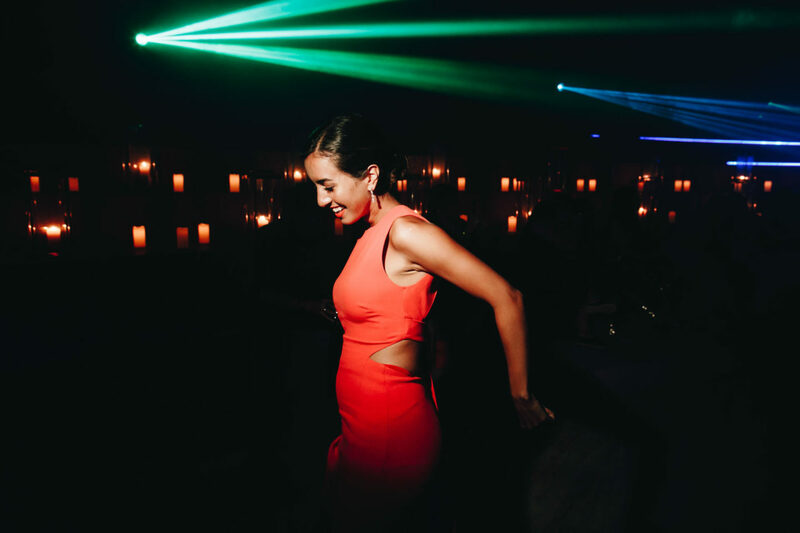 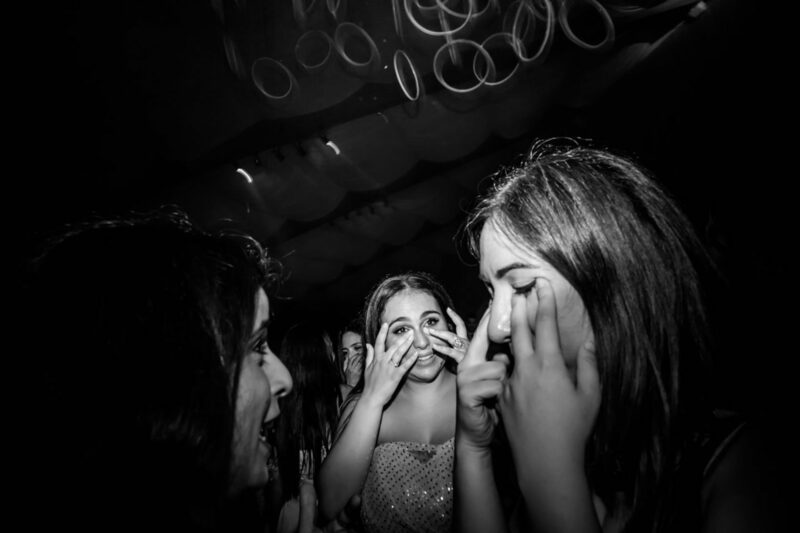 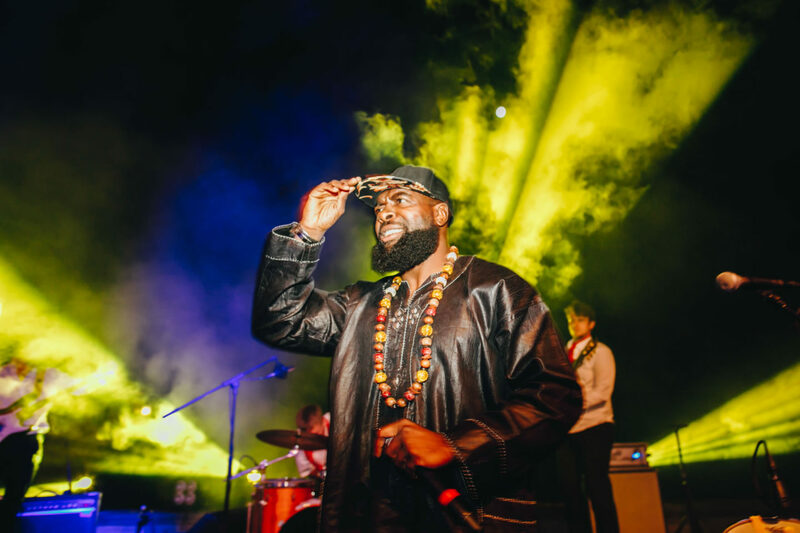 Harp & Hang Duo with their enchanted sounds and Fratelli Marelli with their engaging cheerfulness, Dj and many other forms of entertainment performed for the whole evening, made all the guests dance. 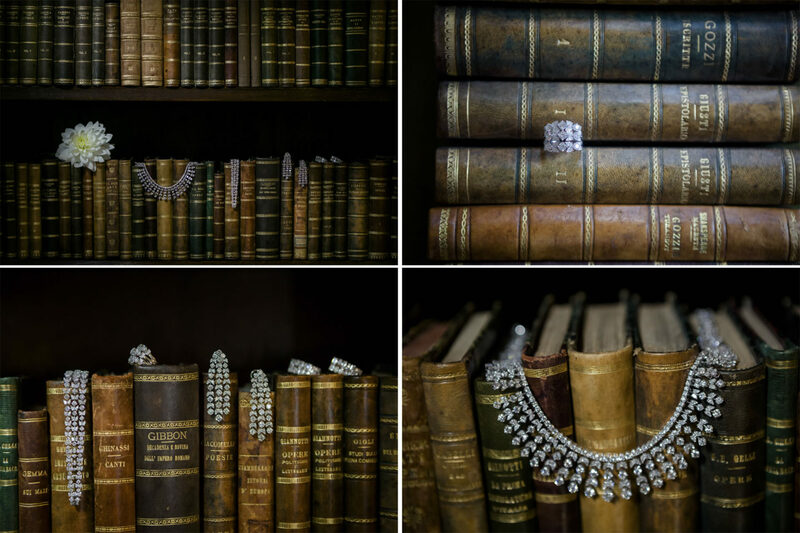 It is always photographically very satisfying to be part of all this and to give space to a luxury and elegant photograph of one of the oldest culture in the world.